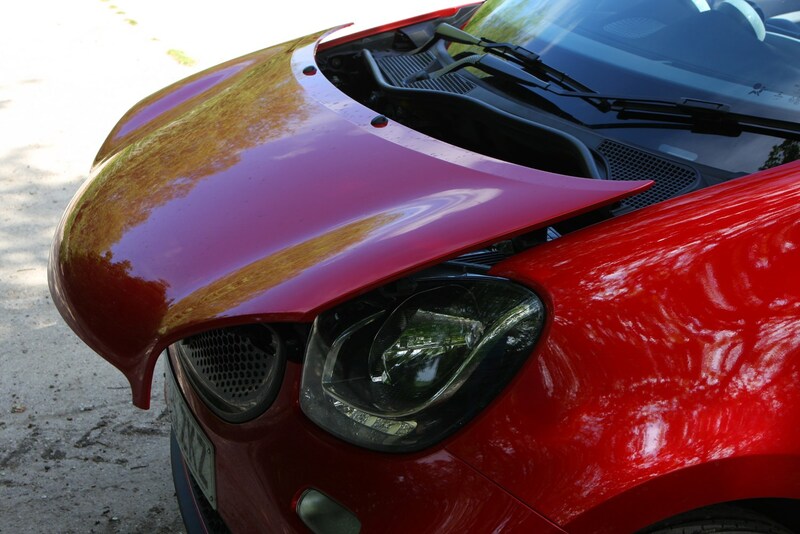 Insurance group: 1 - 30 How much is it to insure? 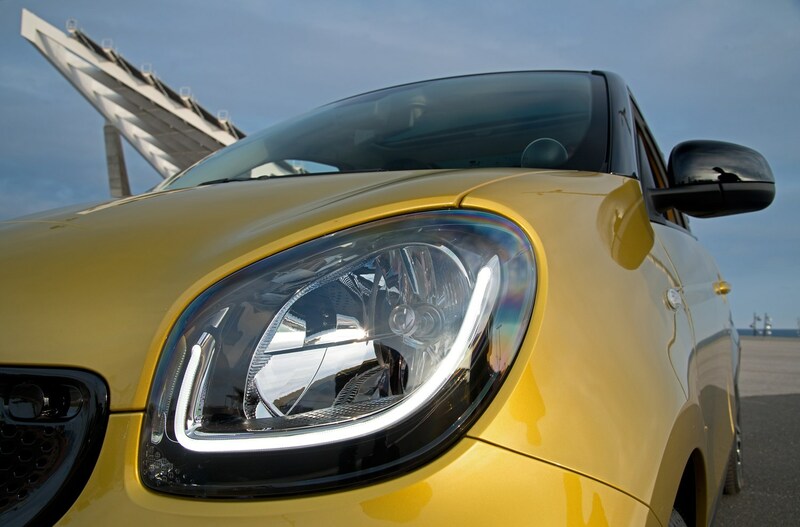 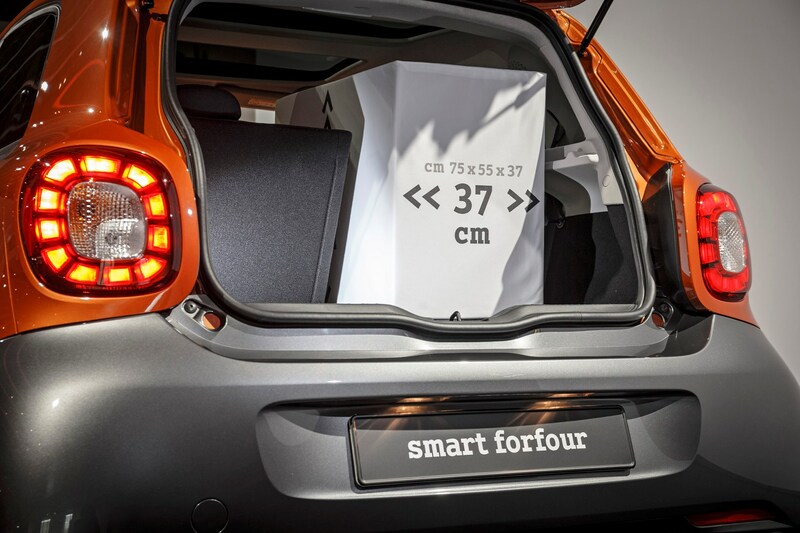 If the name seems familiar, that’s because this is the second-generation Smart Forfour. 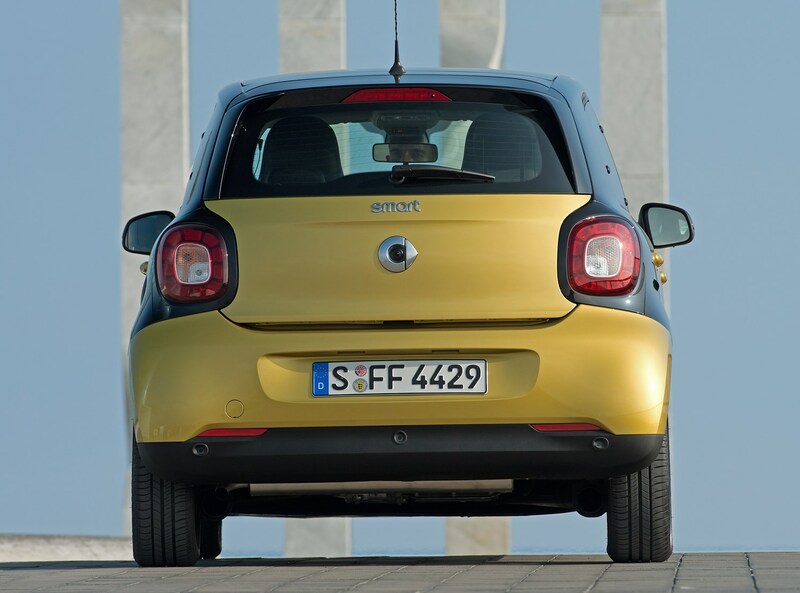 The first one – based on the same underpinnings as the 2004-13 Mitsubishi Colt – didn’t sell particularly well, with most buyers opting for the smaller Smart Fortwo instead. 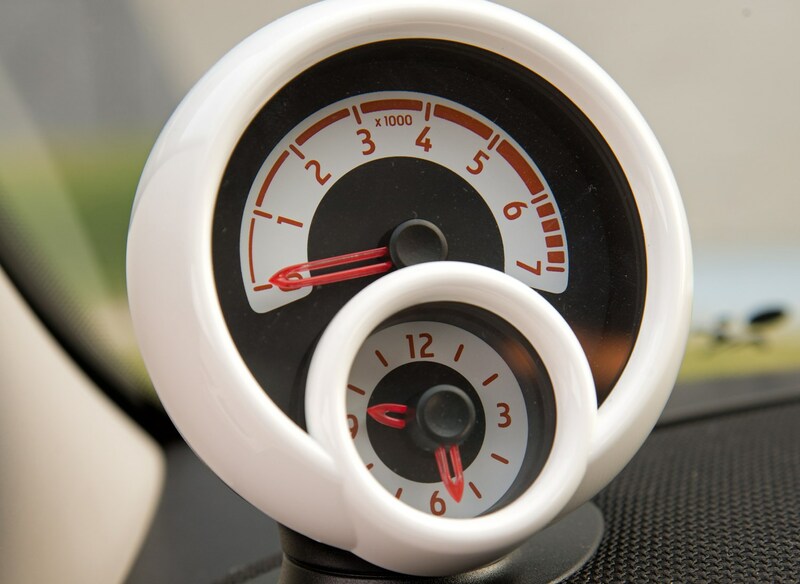 This time around it’s all change. 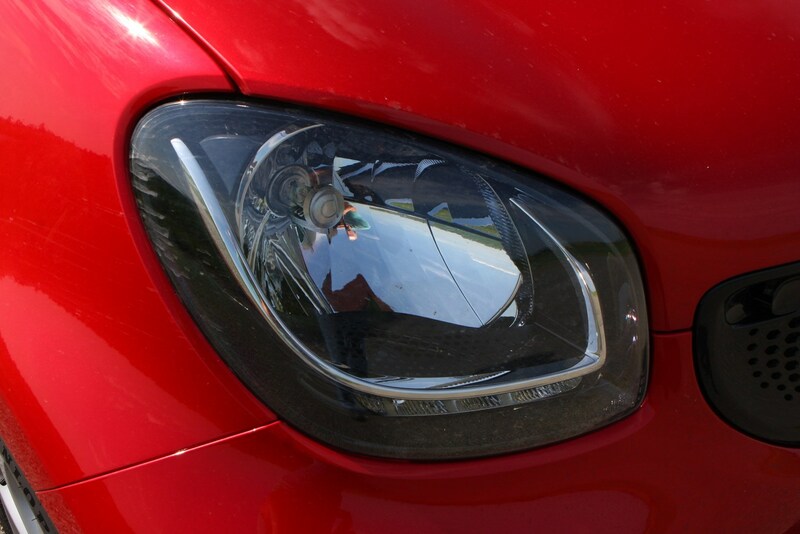 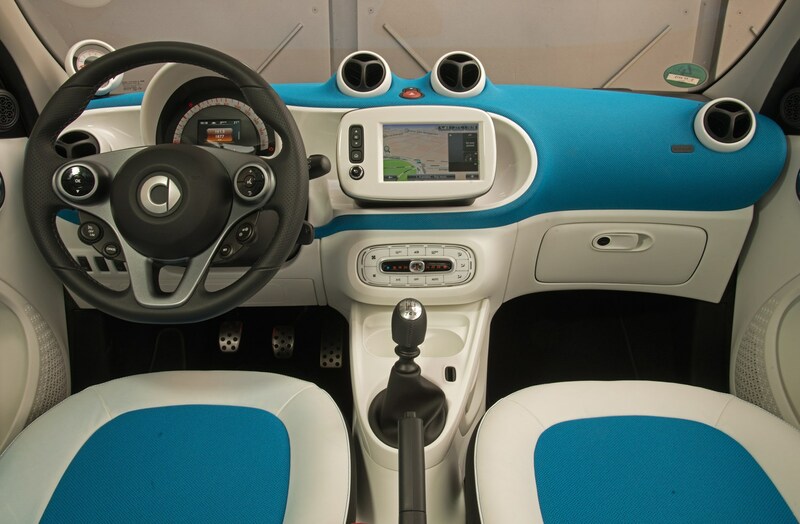 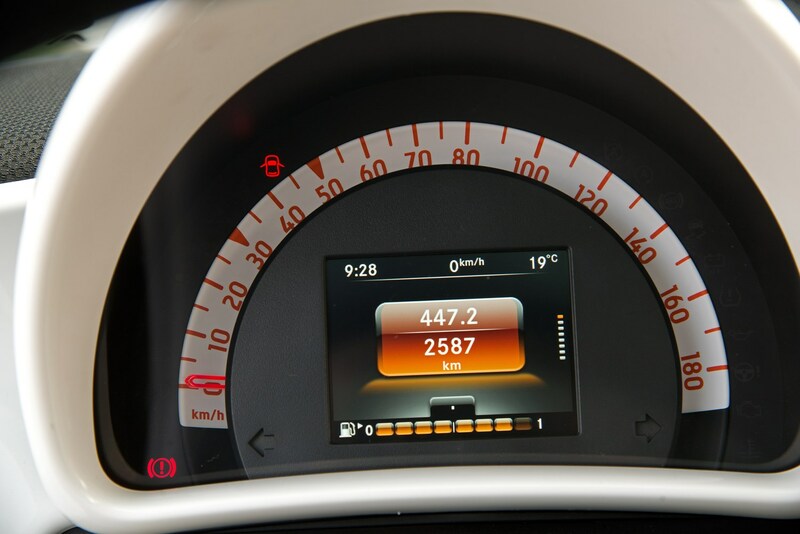 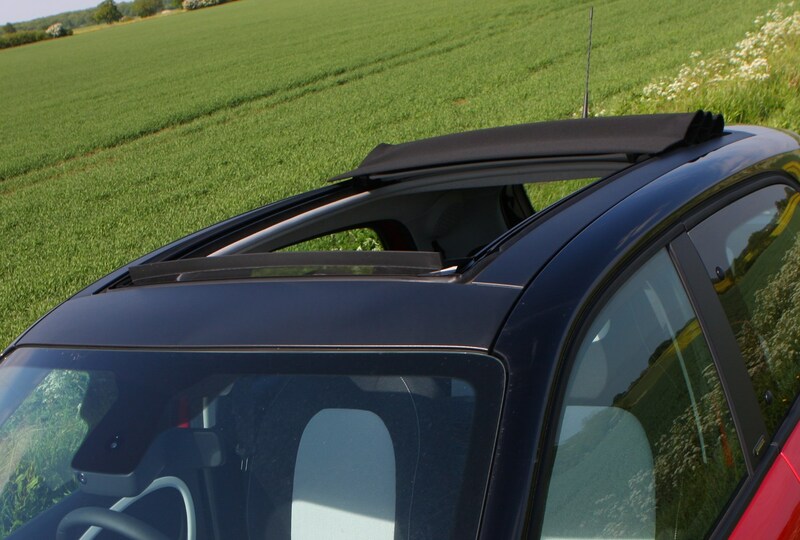 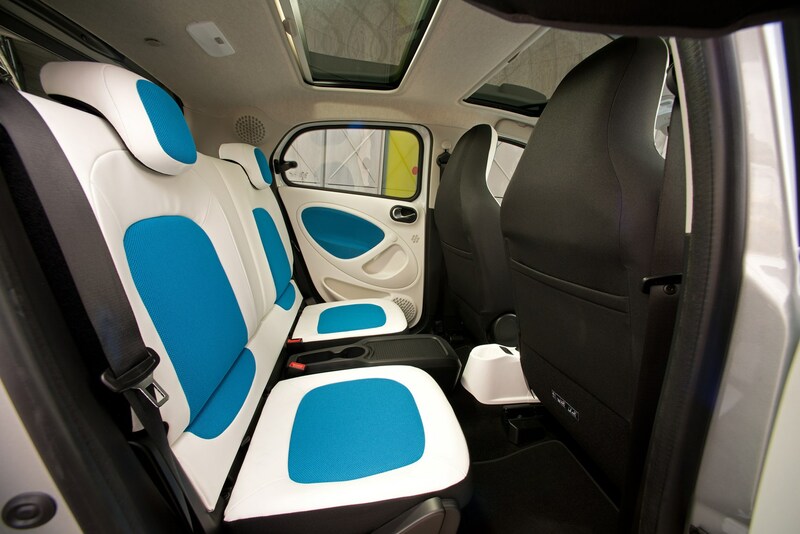 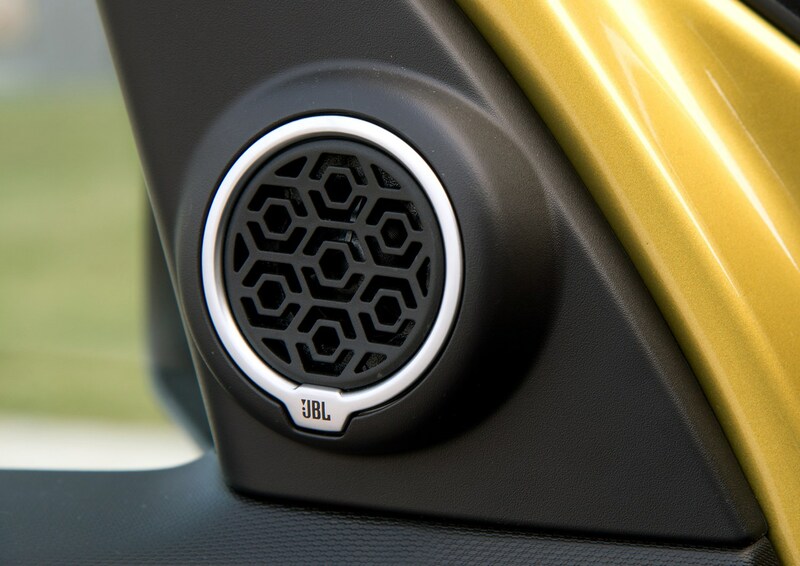 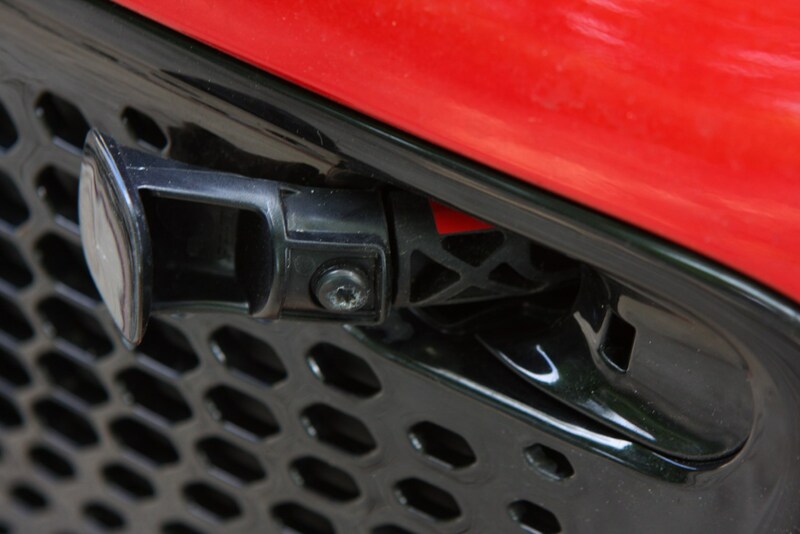 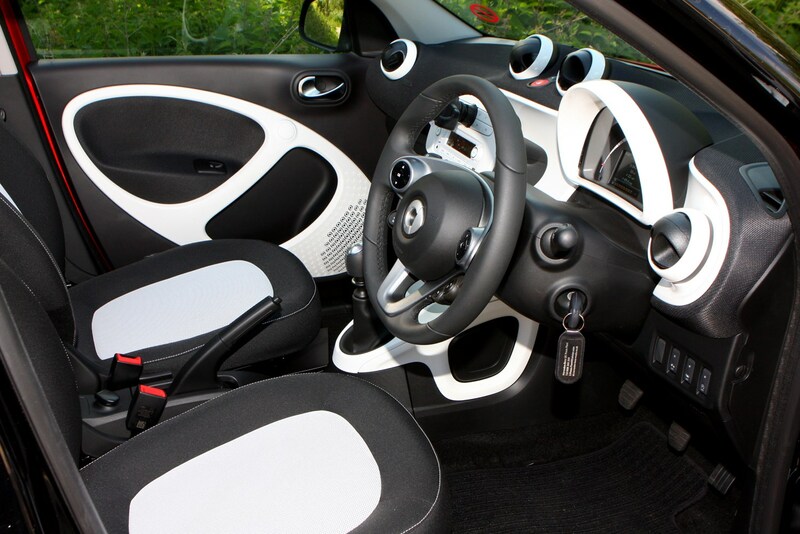 It’s built alongside – and was developed in conjunction with – the Renault Twingo, sharing much of its technology including engines and transmissions. 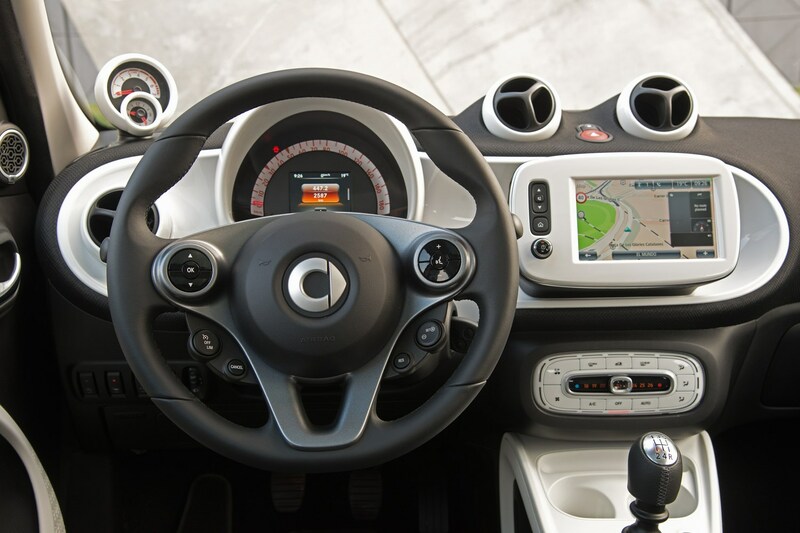 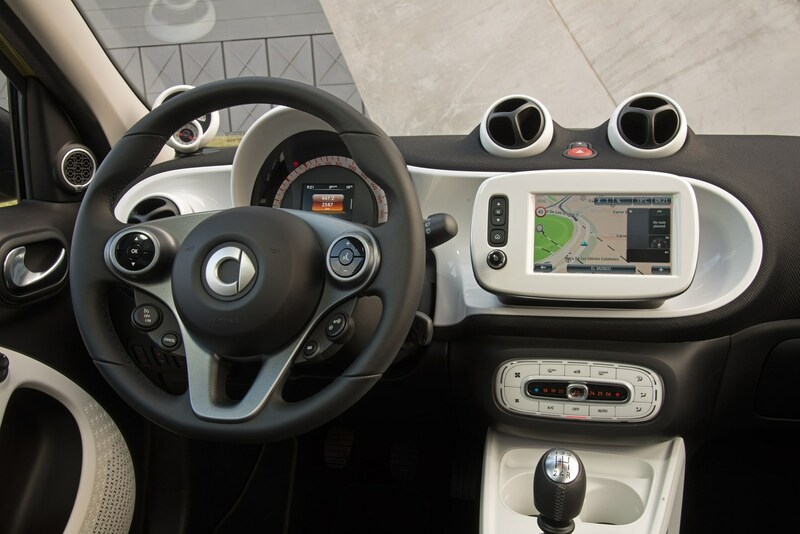 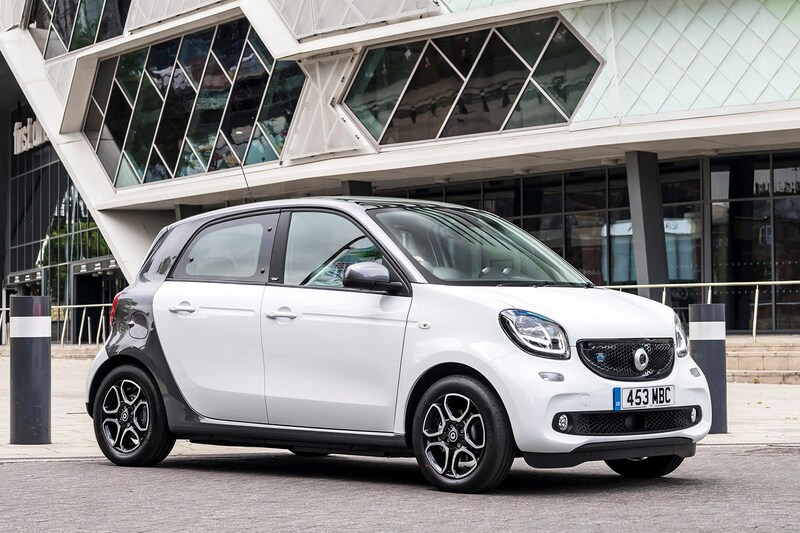 With the Smart Fortwo effectively a shortened version of the same package, this Forfour is effectively a more practical four-seater version (hence the name ‘for four’), and is the brand’s most popular model in the UK. 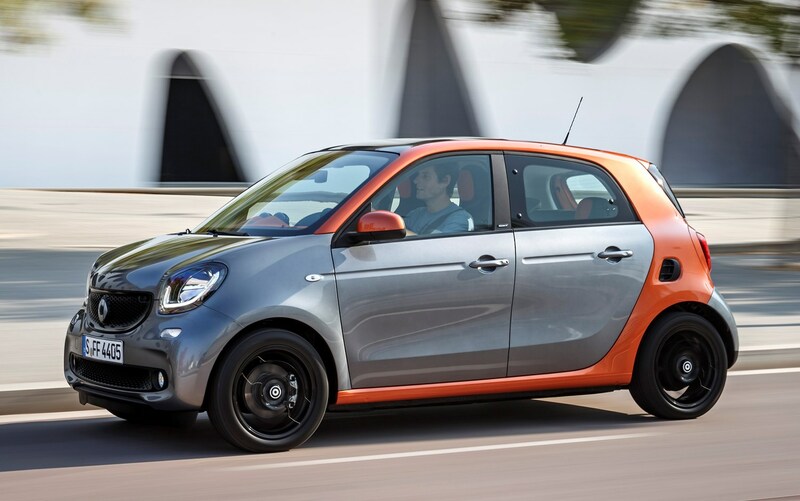 As well as the Twingo, the diminutive Forfour competes against various other models in the competitive city car segment, but given the Smart’s premium pricing, the Fiat 500 and the Volkswagen Up are its most obvious rivals. 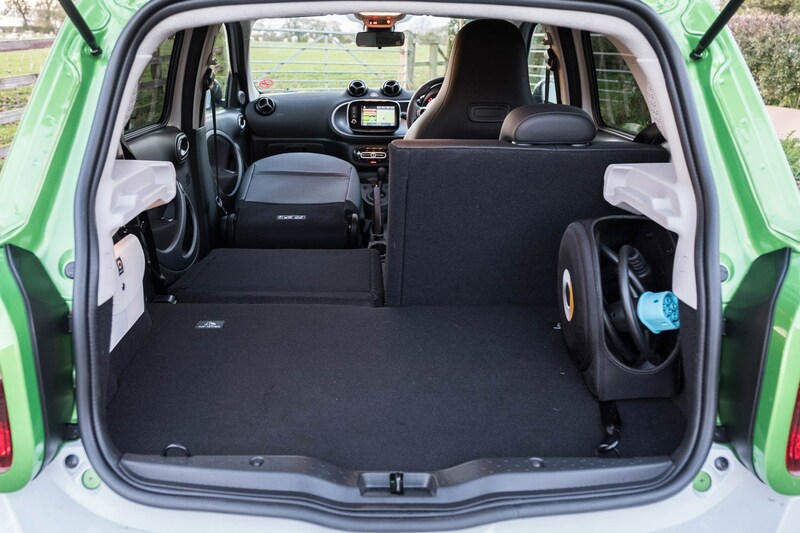 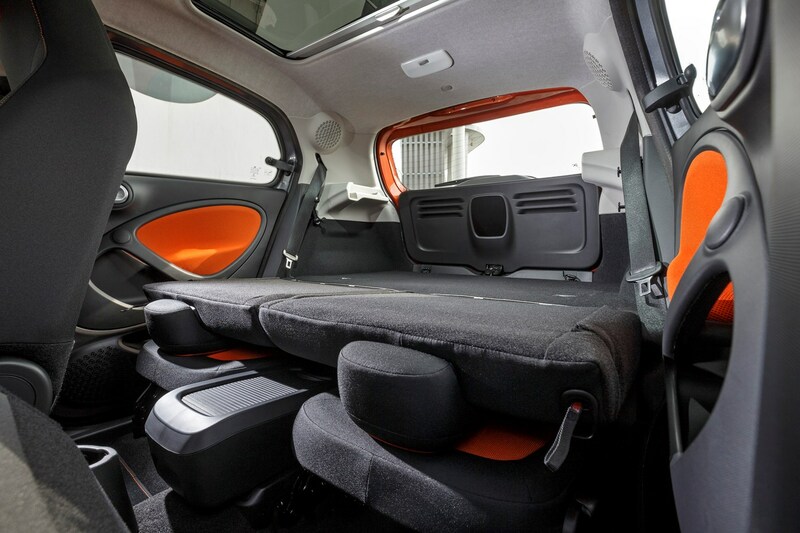 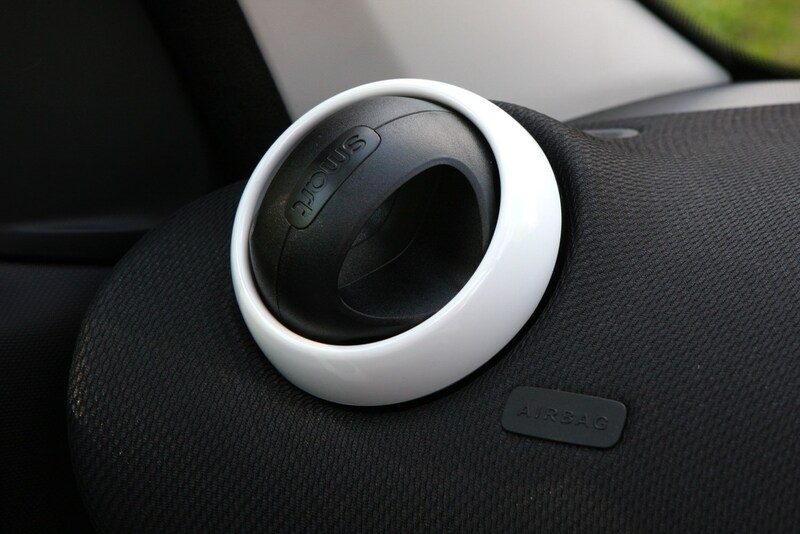 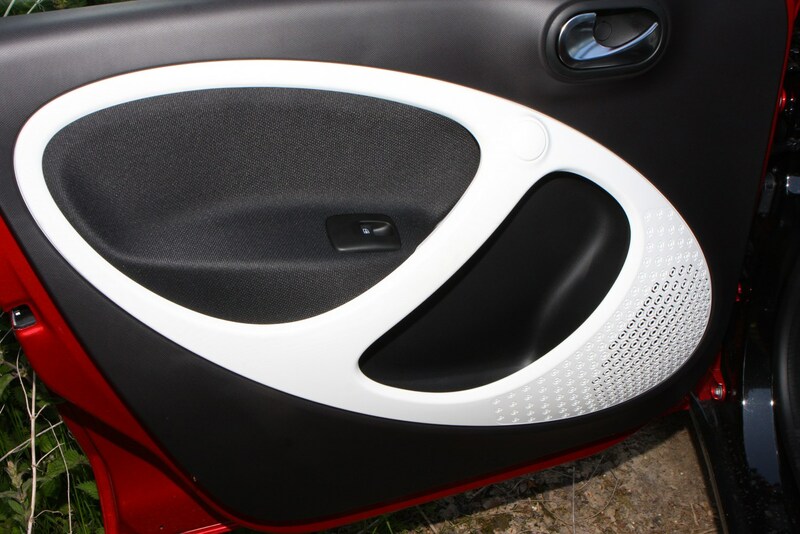 Mercedes-Benz-owned Smart needed to put a premium slant on things for its city car, so the Forfour gets 40kg of extra sound deadening over the Twingo to help dull the sound of the engine under the boot floor in an effort to make it more refined, justifying the higher price tag. 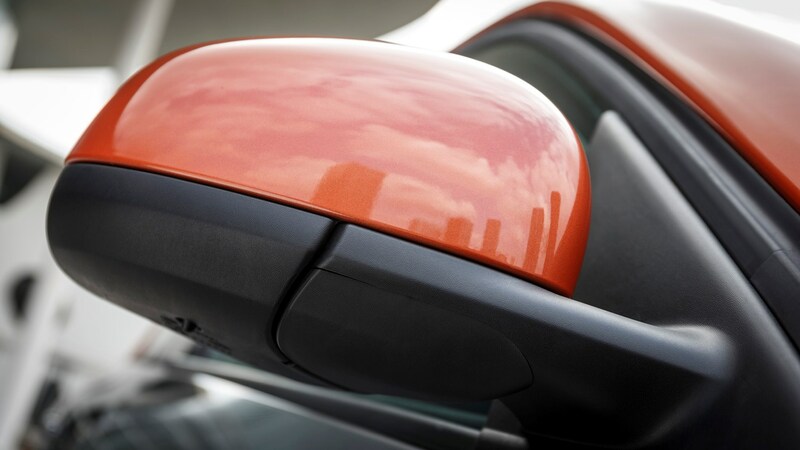 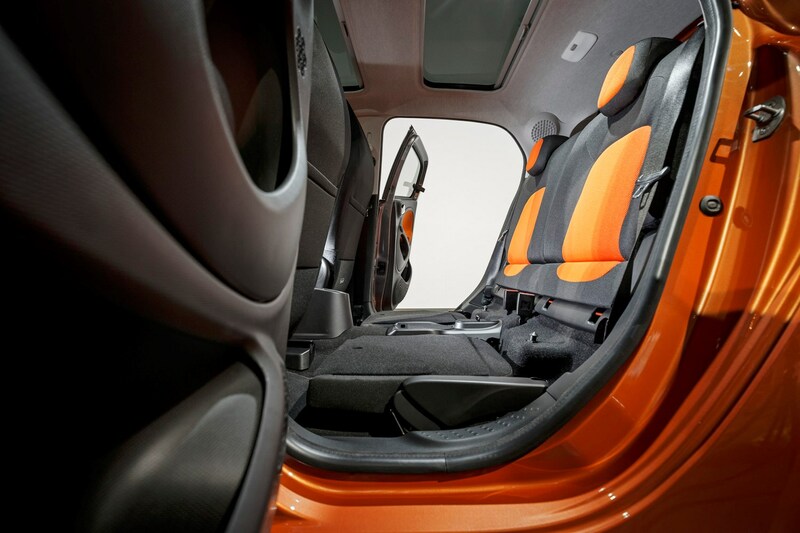 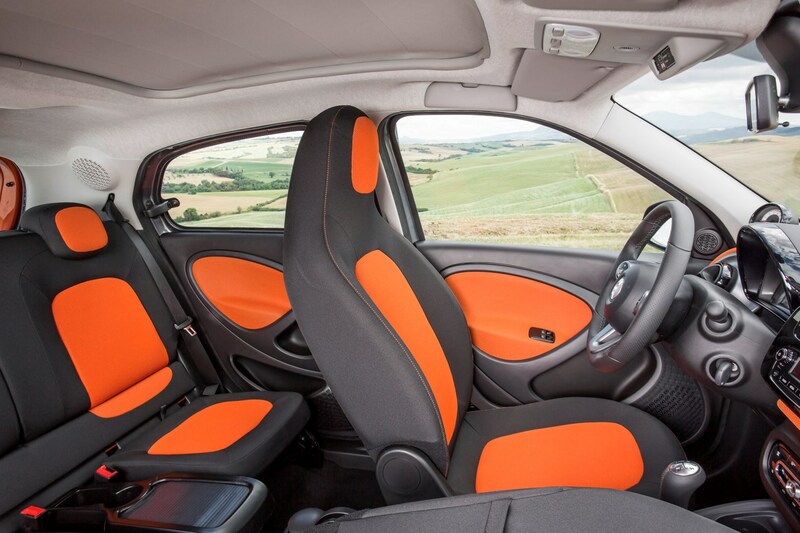 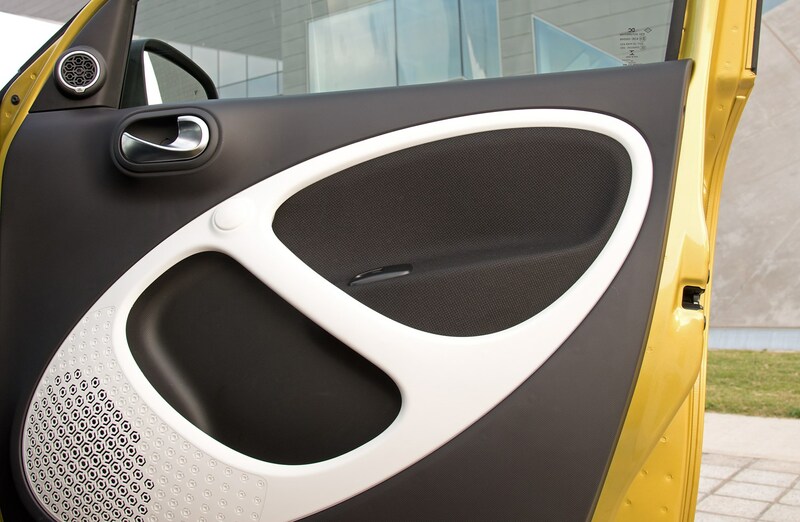 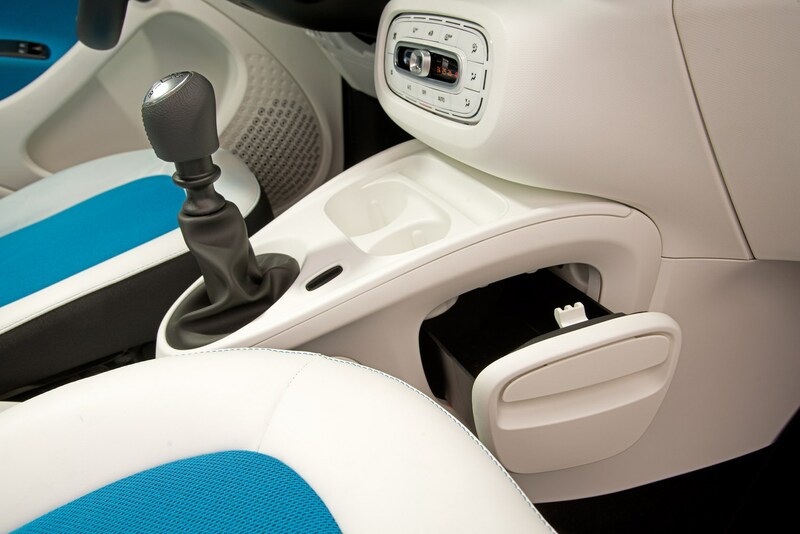 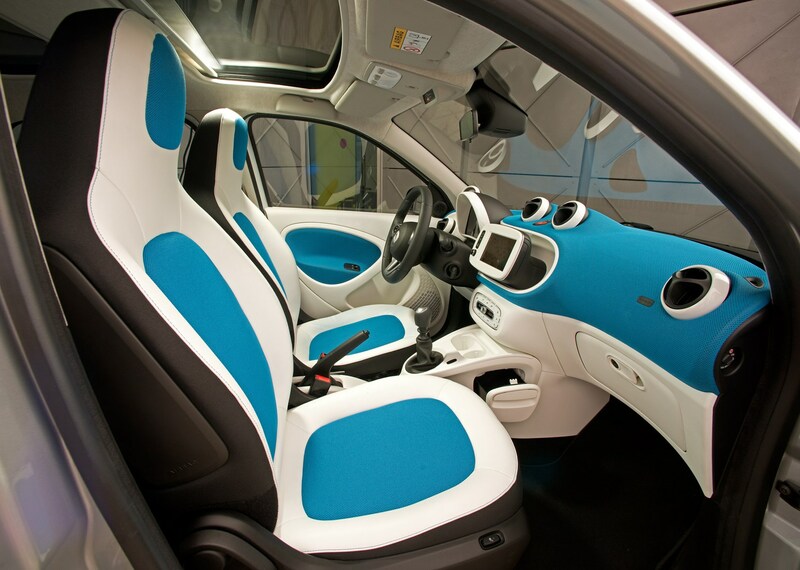 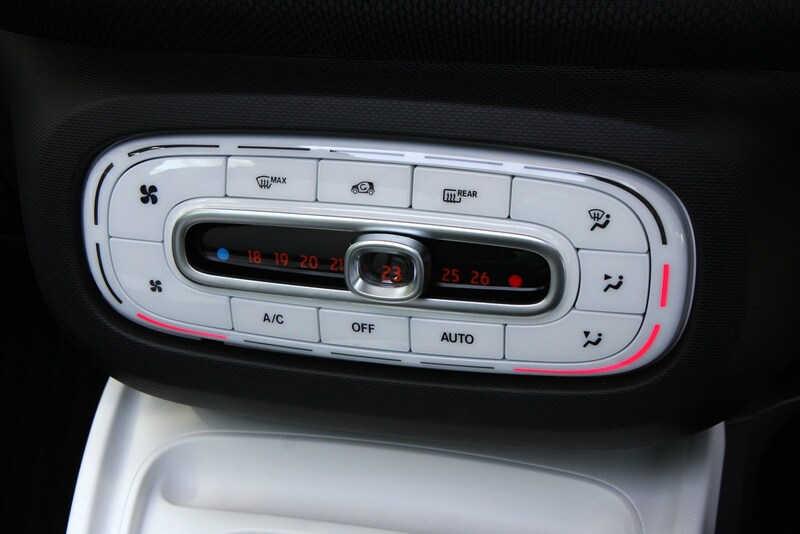 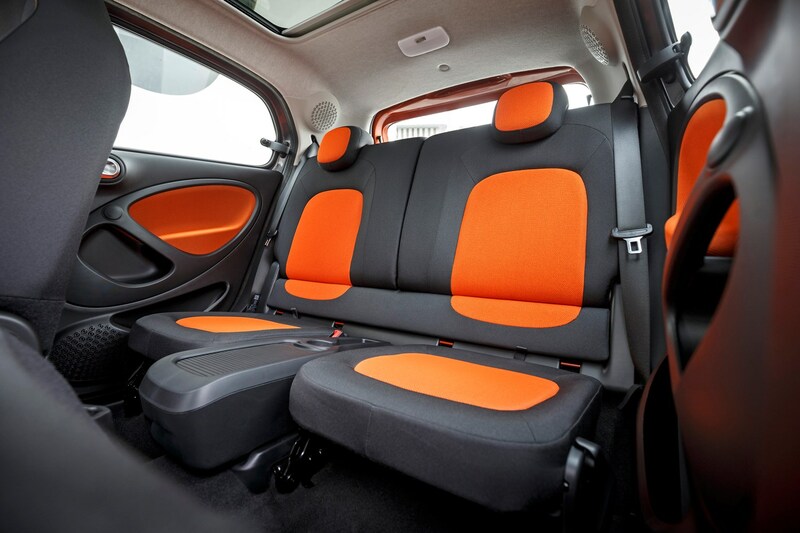 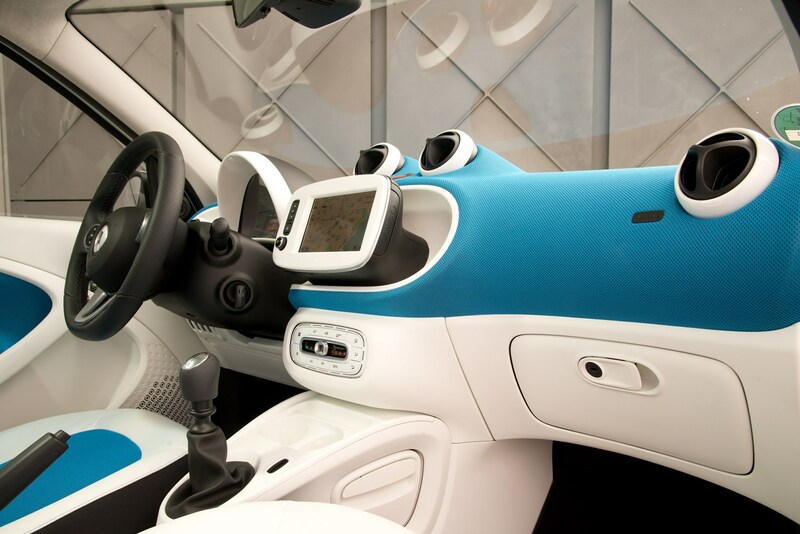 A variety of styling and interior trim finishes add further embellishments to the Forfour’s appeal with a raft of two-tone colour schemes inside and out. 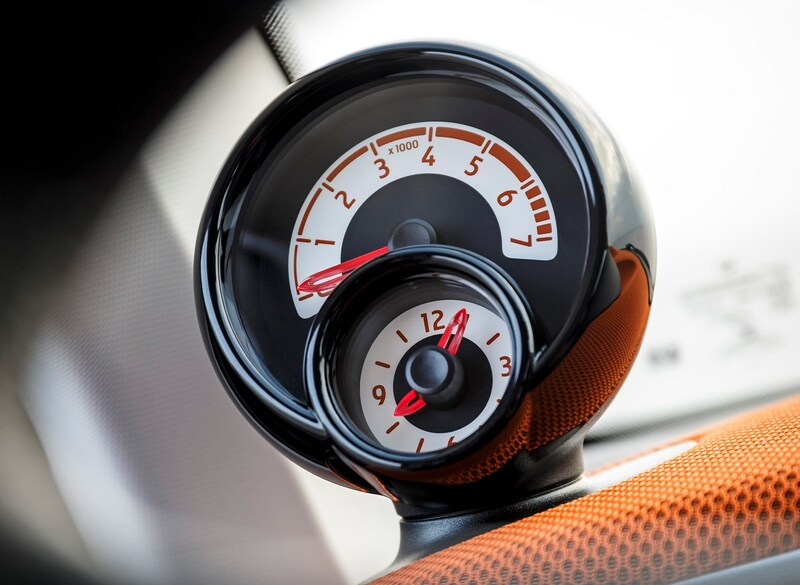 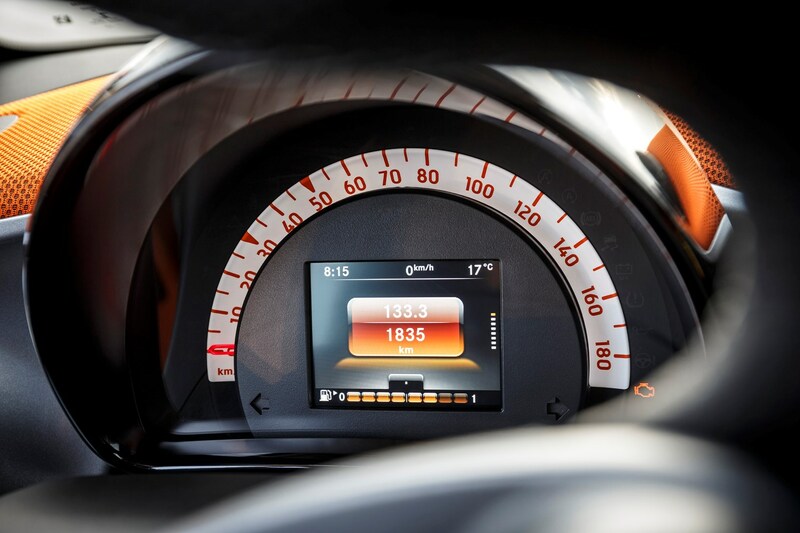 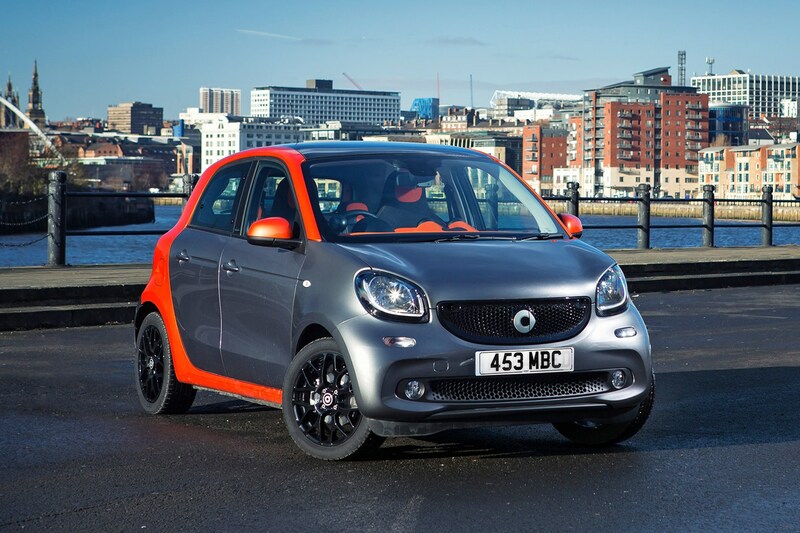 Buy into Smart’s Tailor Made service through the Brabus tuning division and a world of seemingly limitless hues and trim materials is opened up to you. 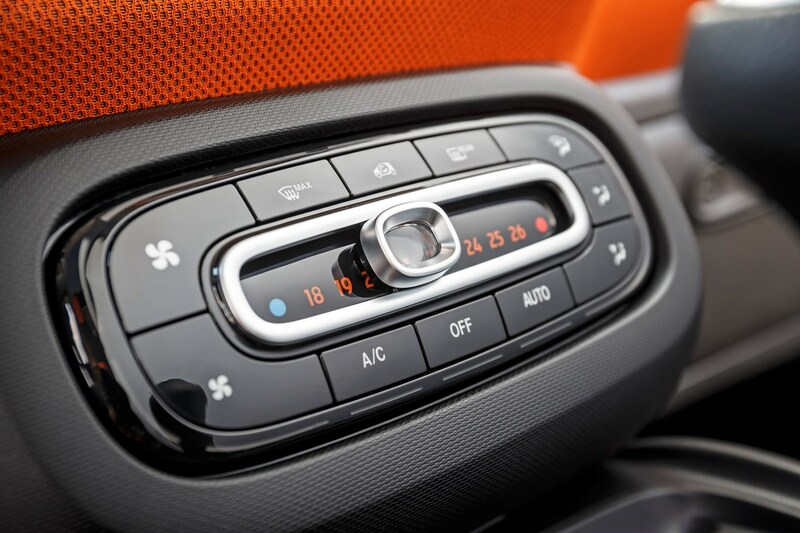 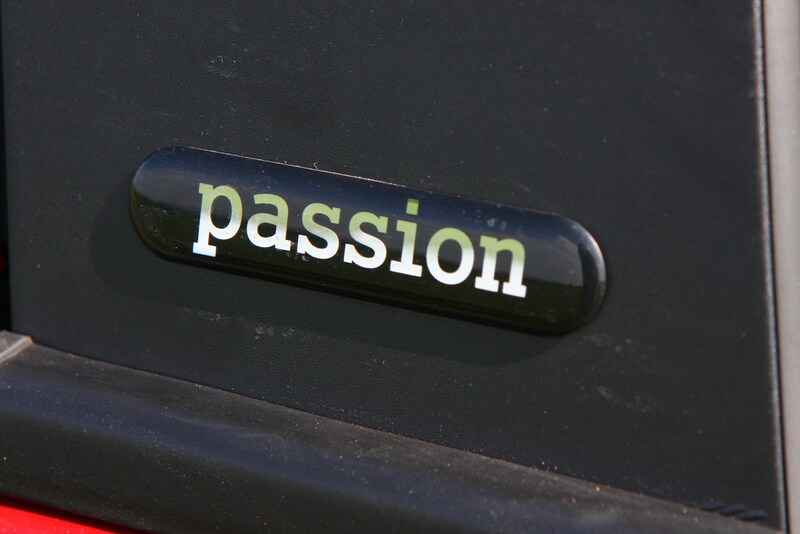 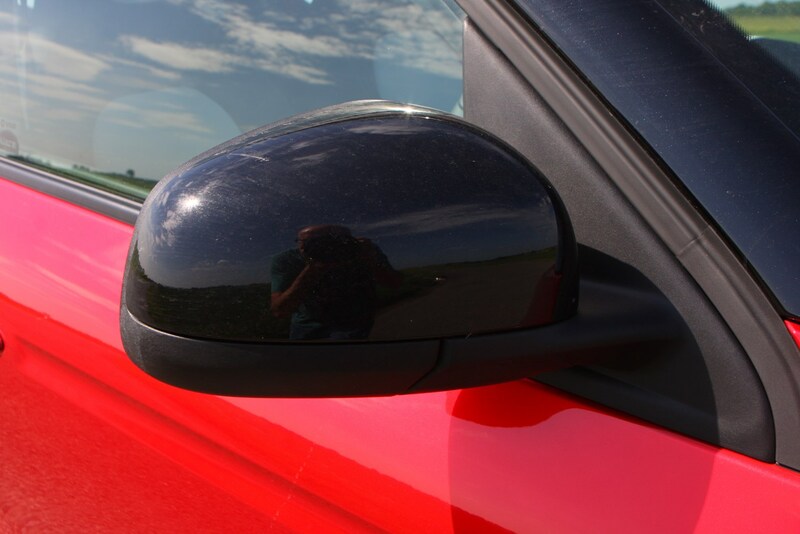 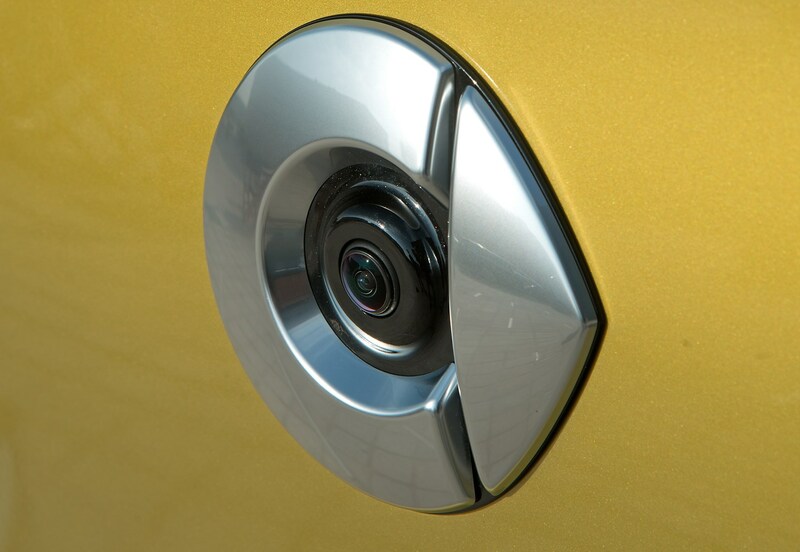 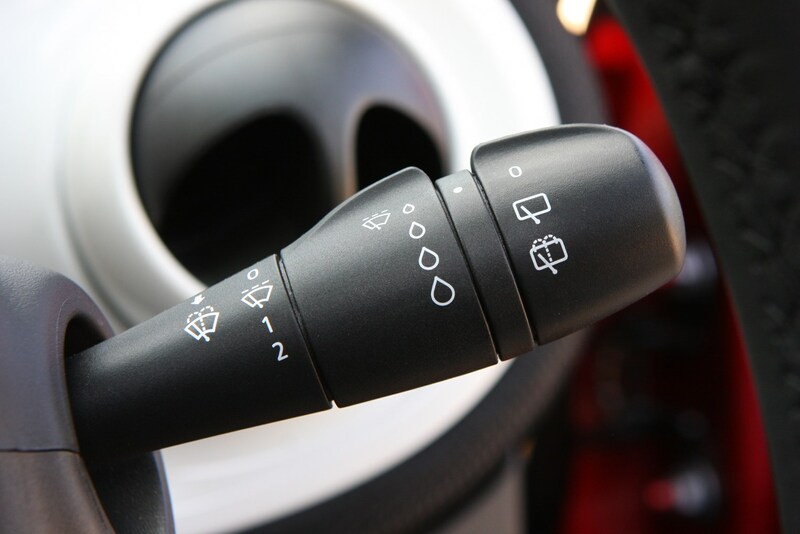 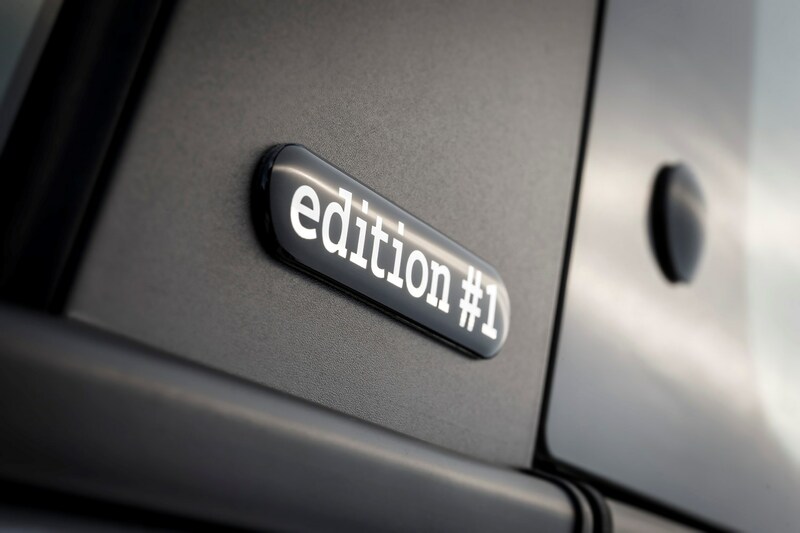 Just be aware that personalisation to this degree isn’t remotely cheap – and there’s the possibility you could be lumbered with a car that’s difficult to sell on afterwards. 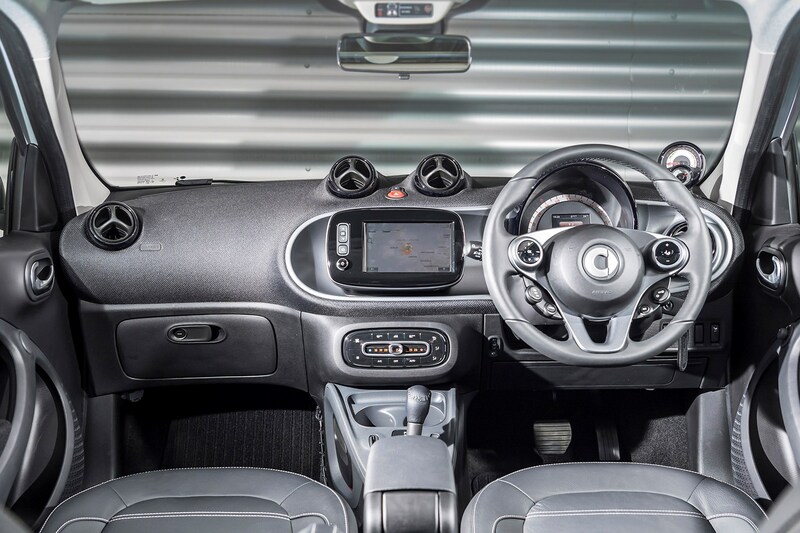 Mainstream Smart Forfours have a choice of two Renault-sourced petrol engines: a non-turbo 1.0-litre unit producing a modest 71hp and a turbocharged 0.9-litre motor serving up 90hp. 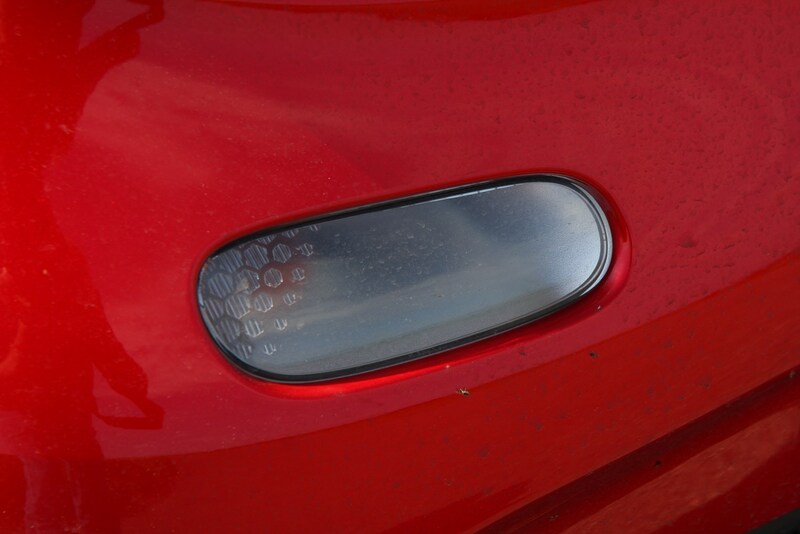 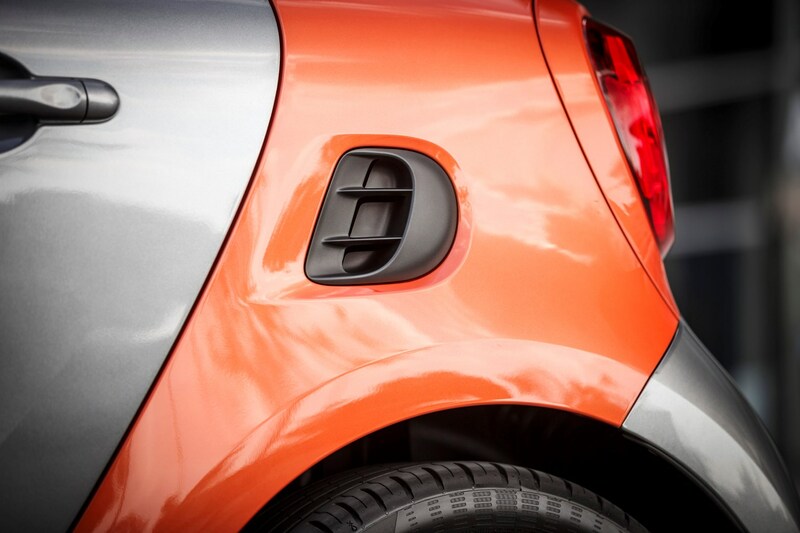 Each has a claimed fuel efficiency of over 43mpg. 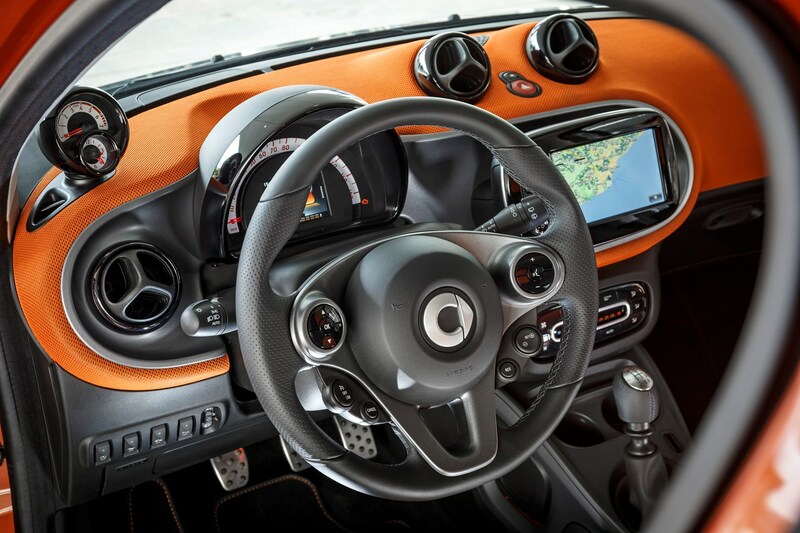 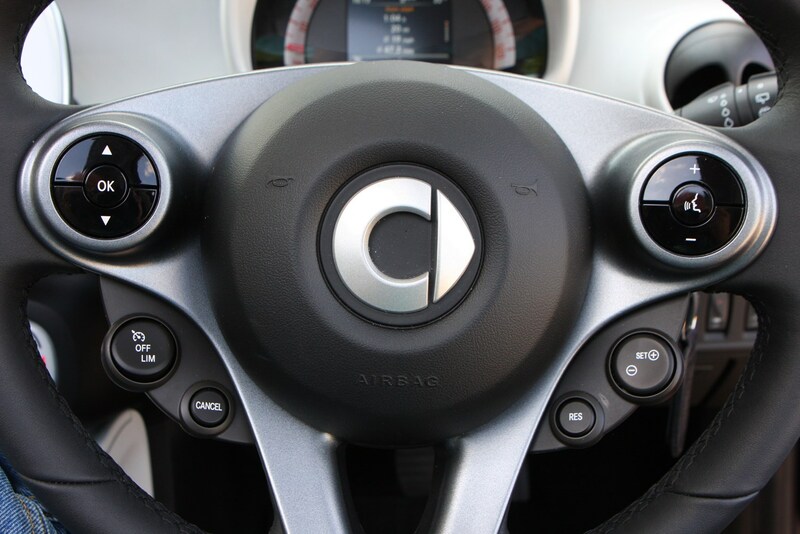 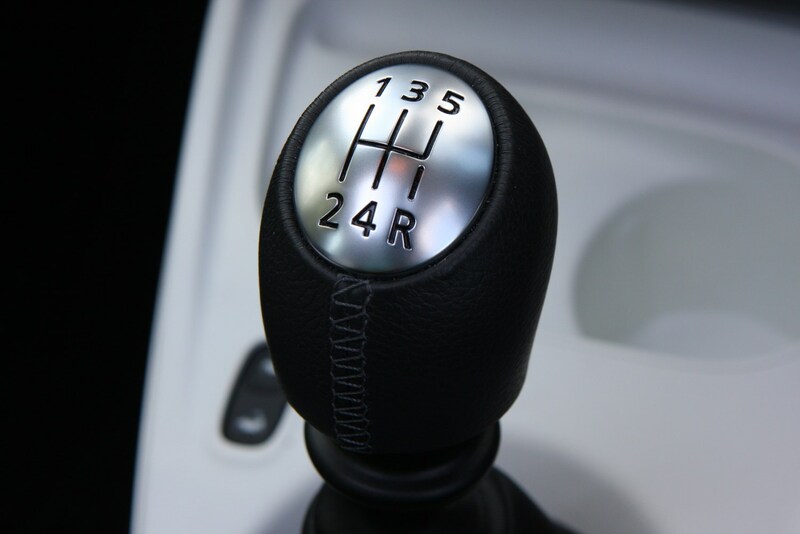 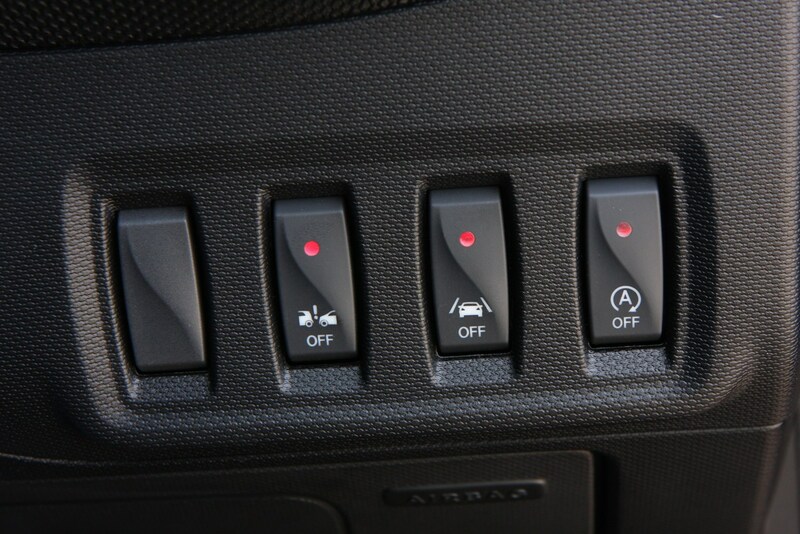 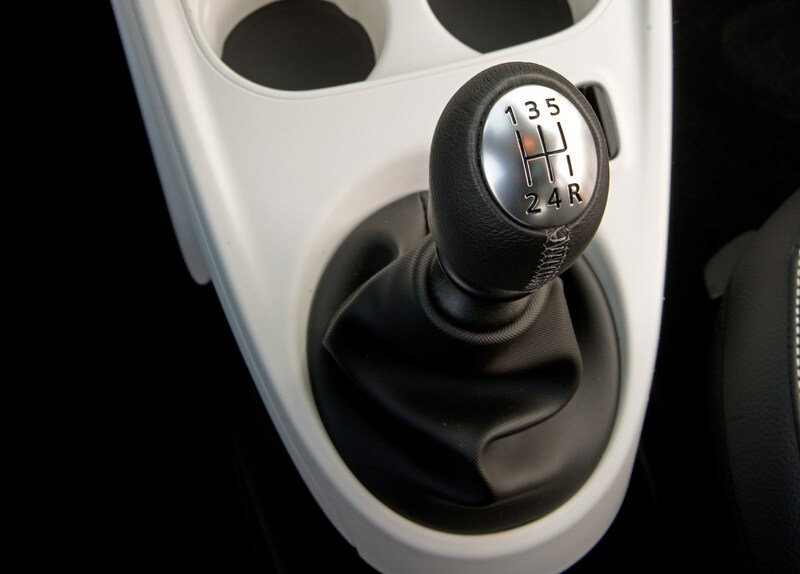 Both send power exclusively to the rear wheels with a choice of a five-speed manual gearbox or an optional six-speed twinamic dual-clutch automatic. 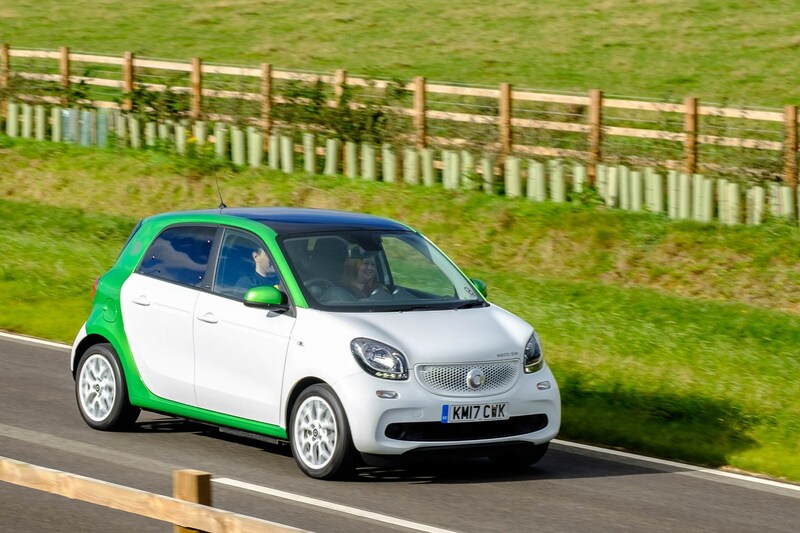 The Electric Drive model joined the range in 2017, with a 17.6Kwh battery pack and distinctive green bodywork. 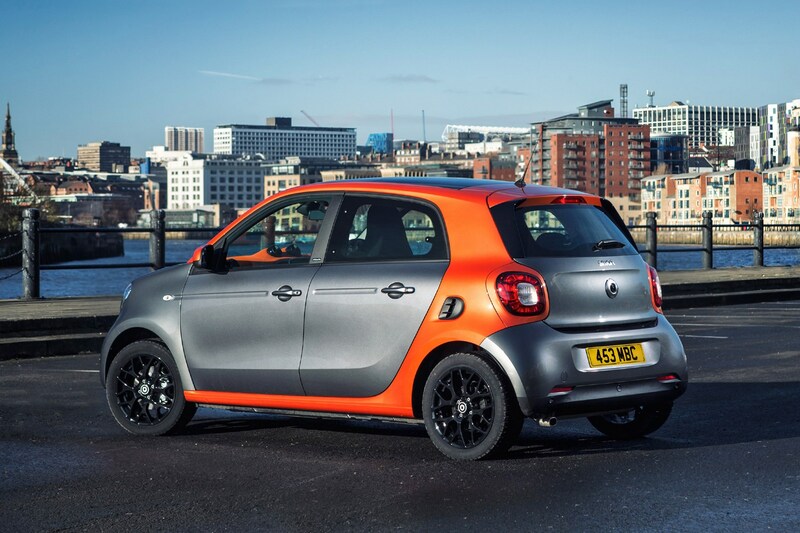 Powered by an 82hp motor producing 160Nm of torque, it responds with alacrity up to 40mph and has a range of 96 miles. 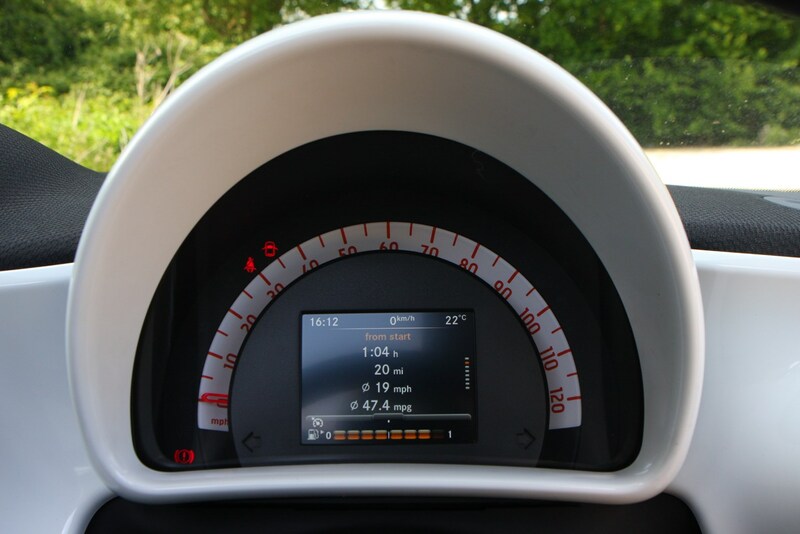 By design it’s an automatic, achieving 62mph in 12.7 seconds. 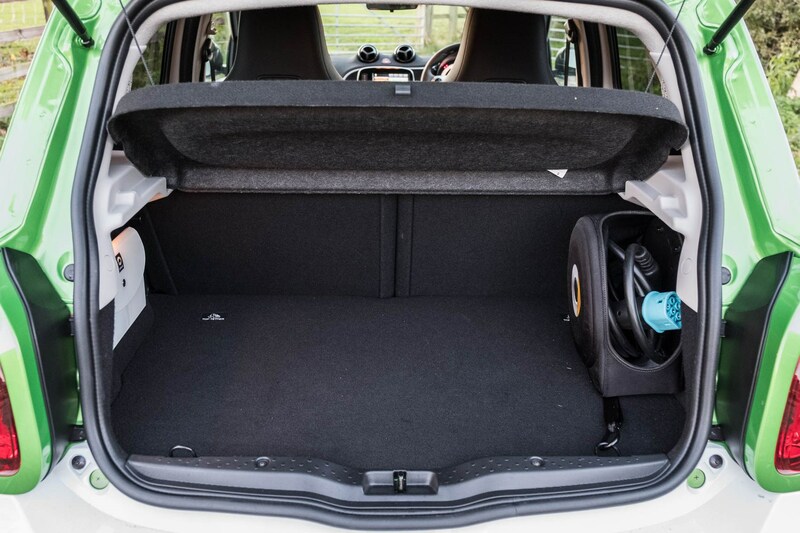 Even at the lowest level you get 15-inch alloy wheels, automatic climate control, Isofix child seat mounts in the rear and cruise control. 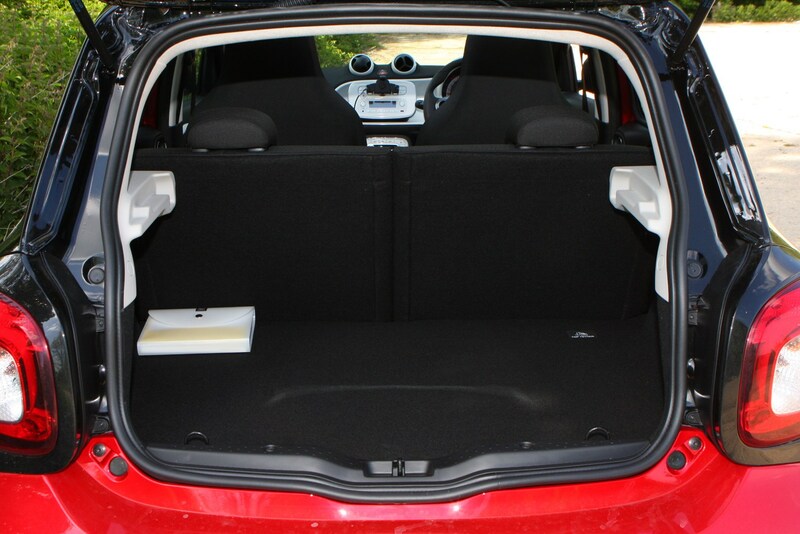 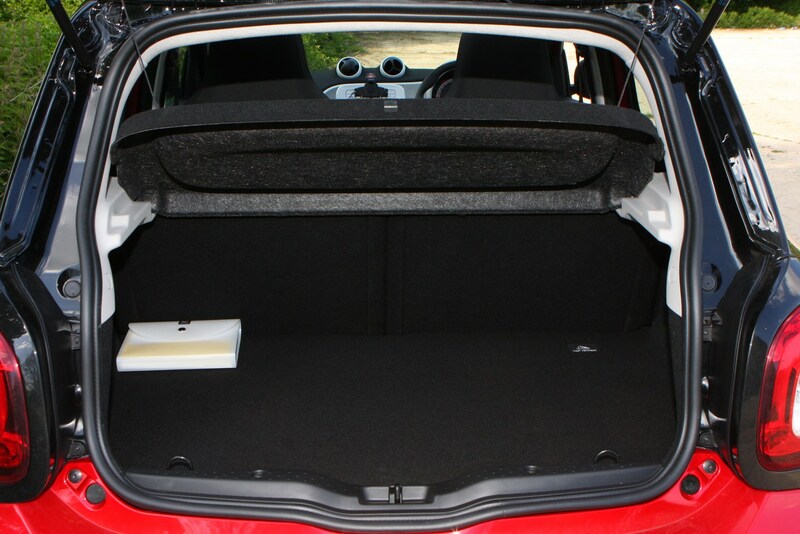 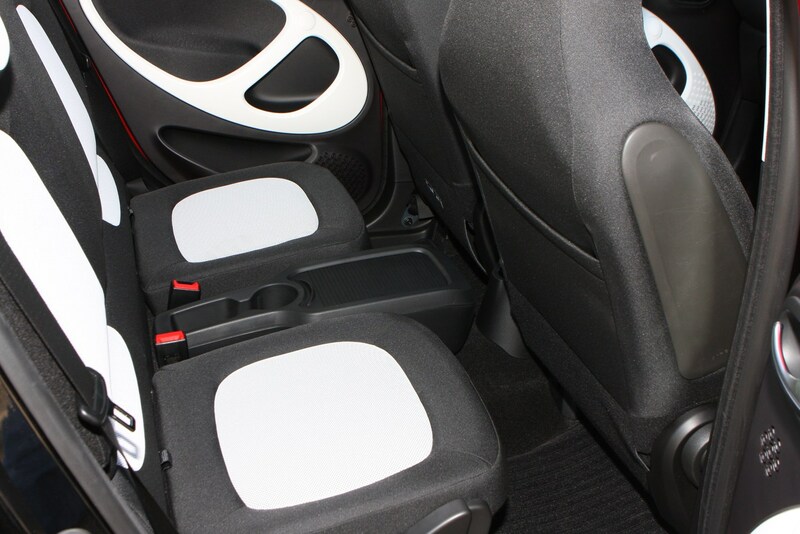 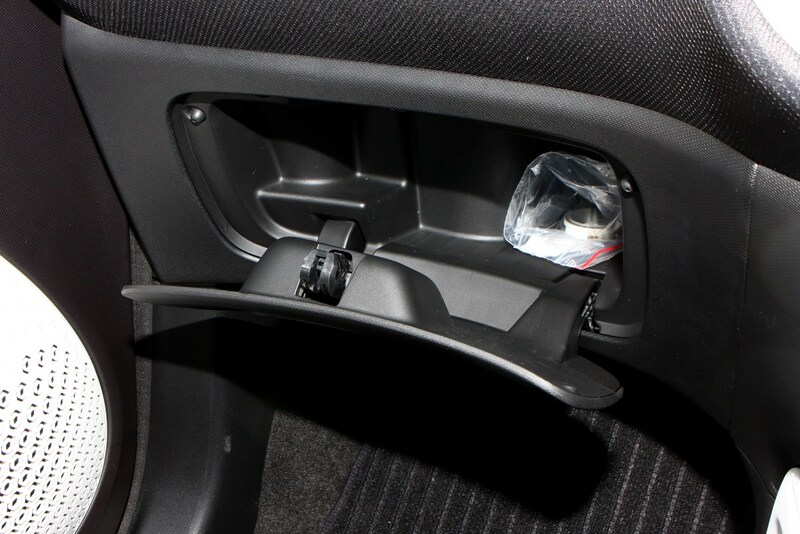 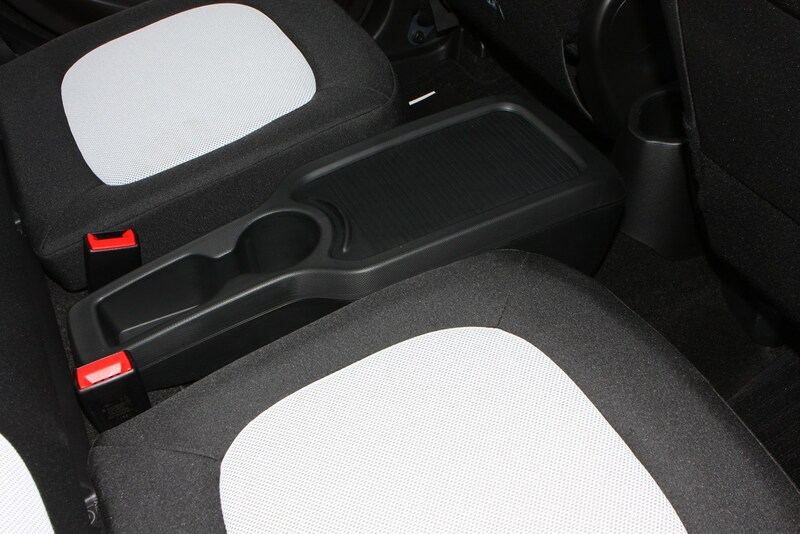 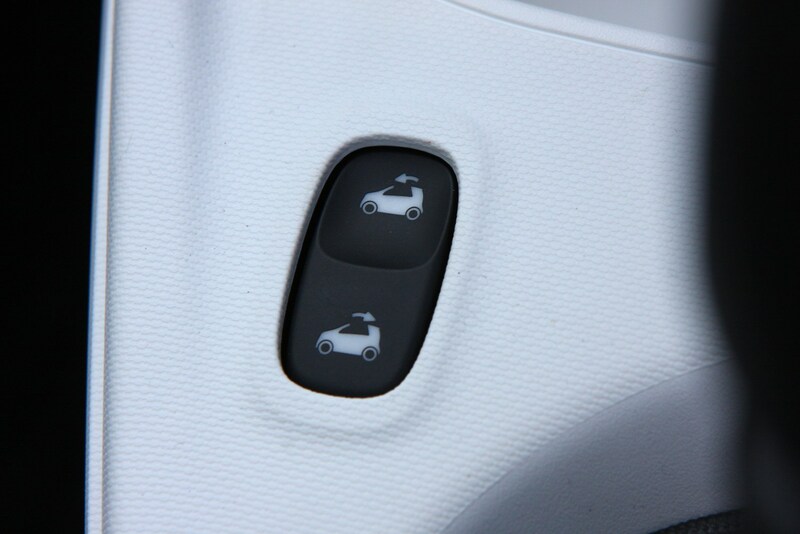 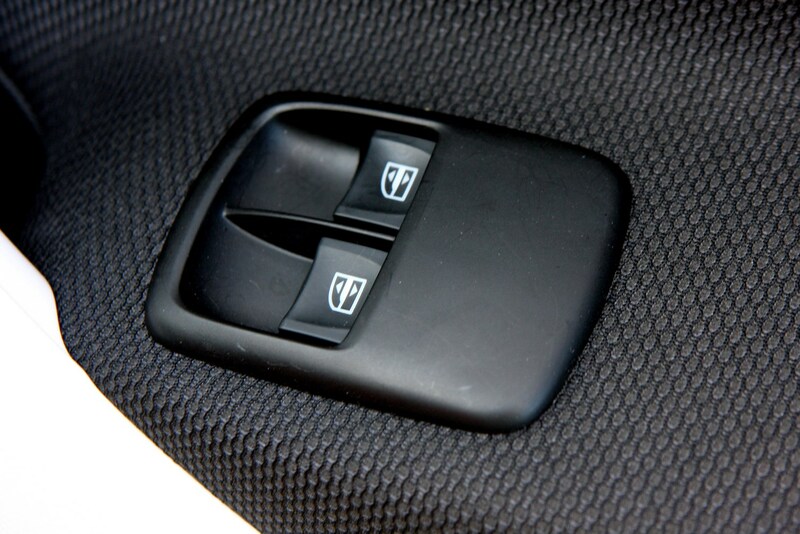 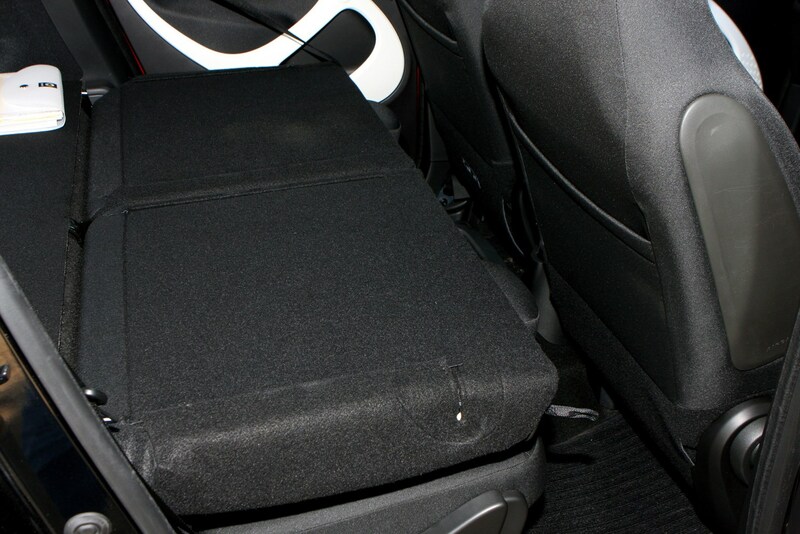 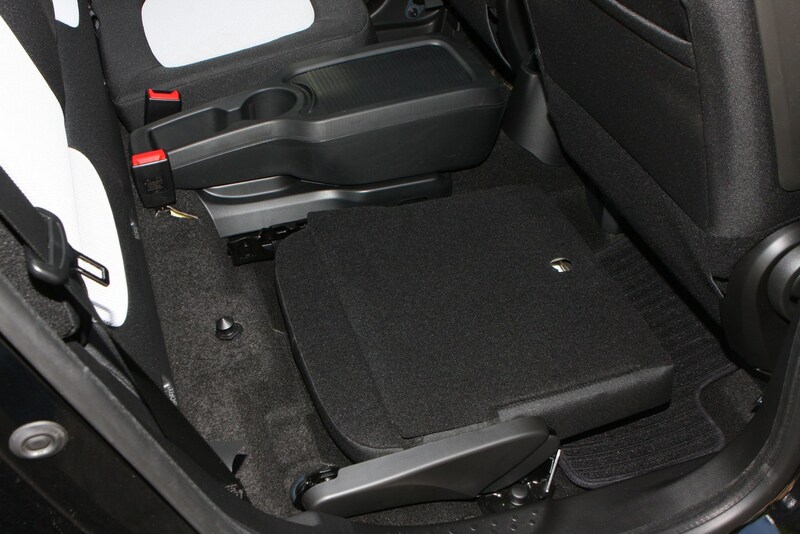 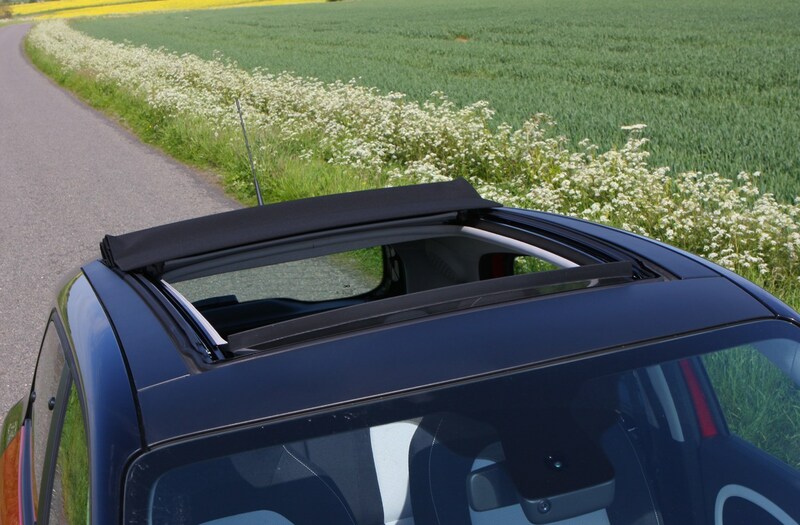 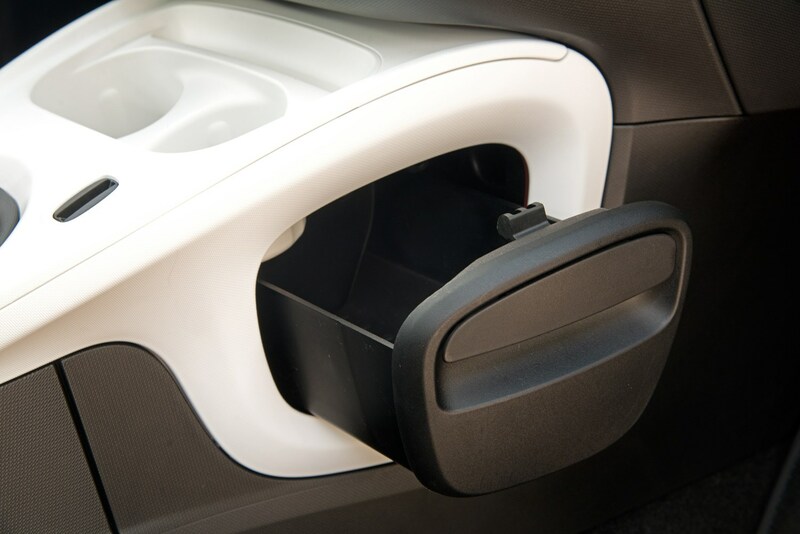 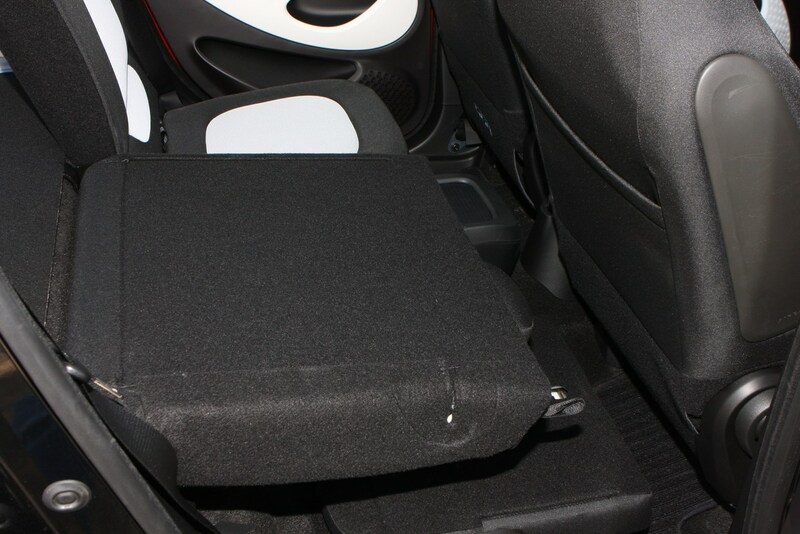 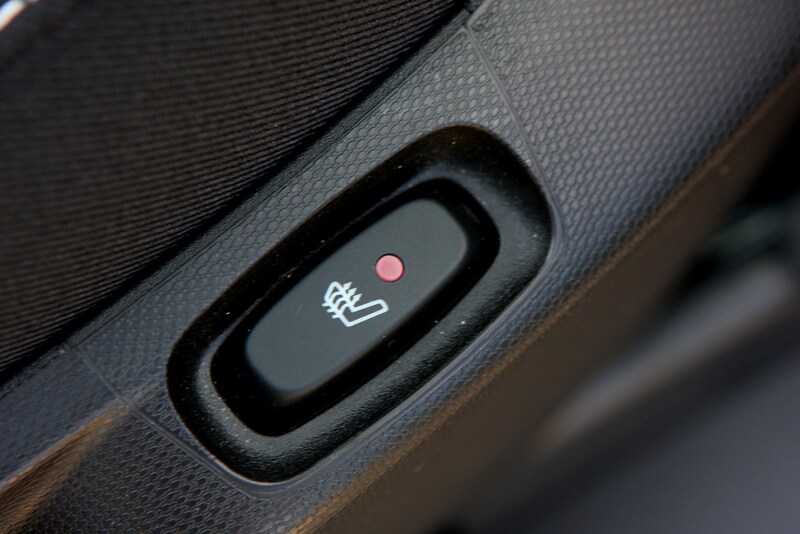 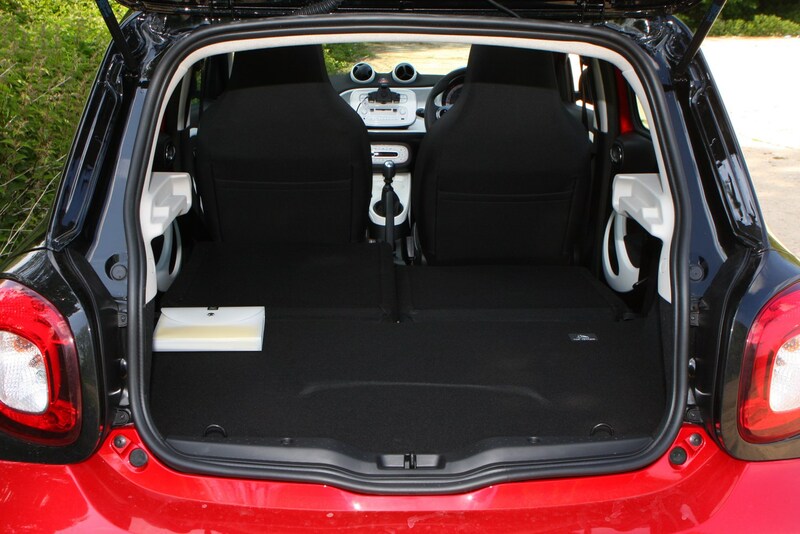 The removable cargo box and 50:50-split rear seats are also standard across the range. 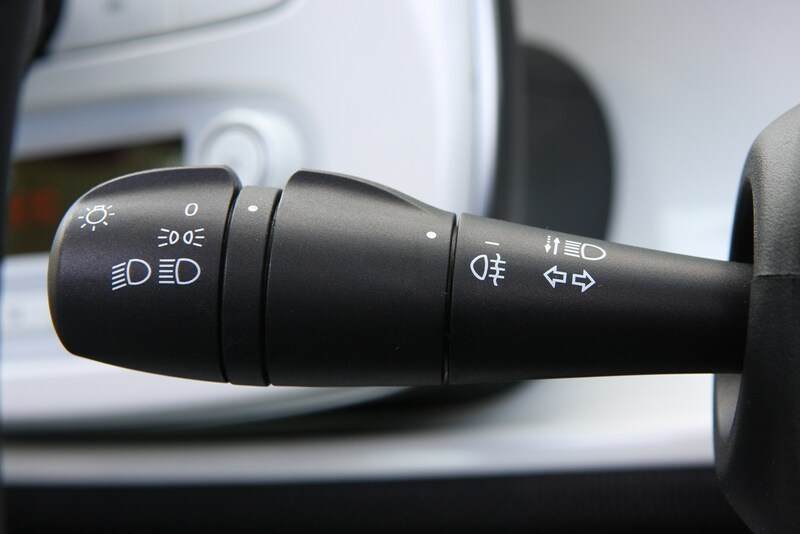 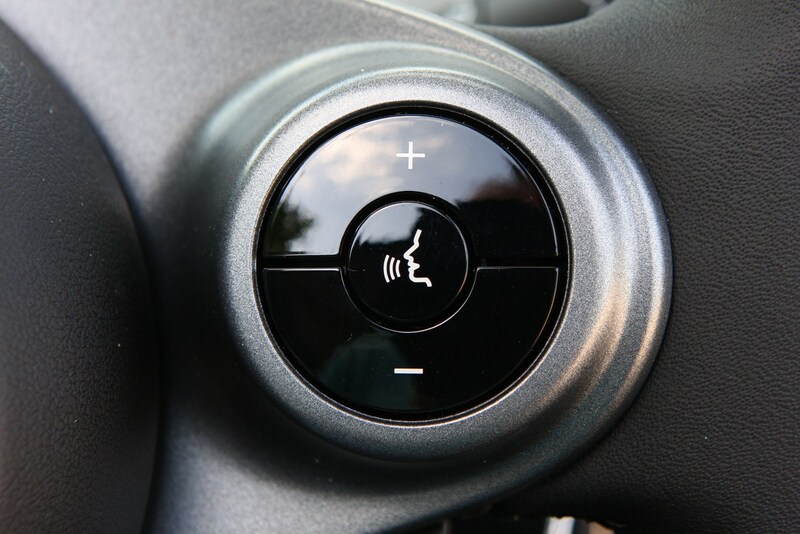 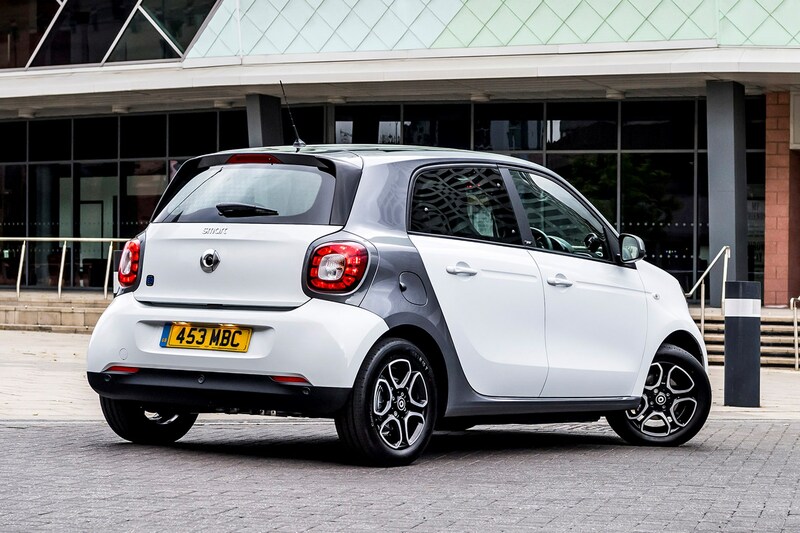 Electric Drive models come in Prime Premium and Prime Premium Plus trim, with the latter featuring ambient lighting, automatic windscreen wipers and rear-view camera. 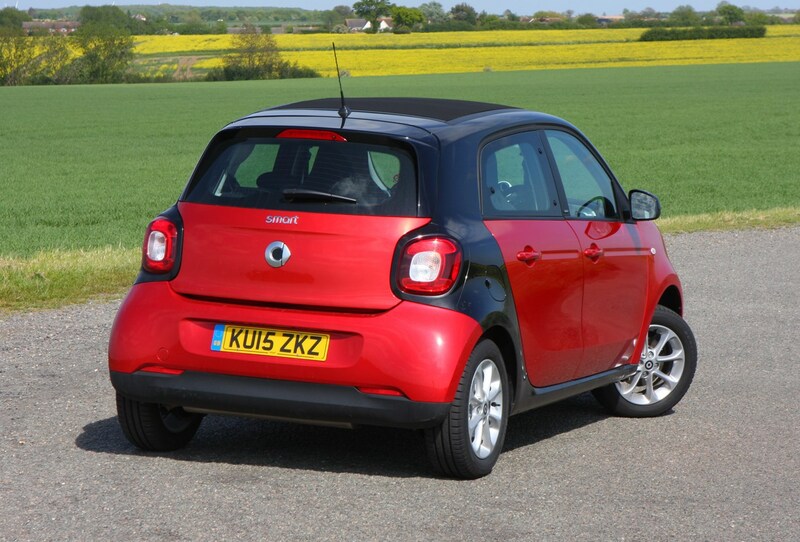 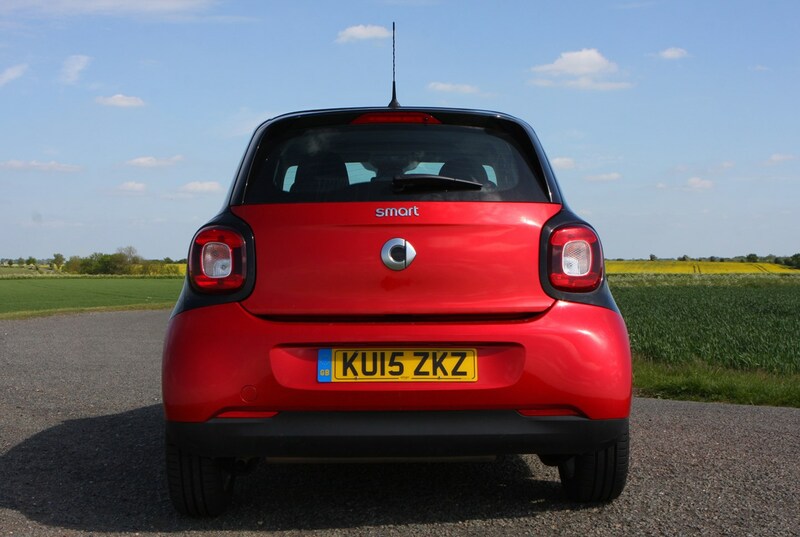 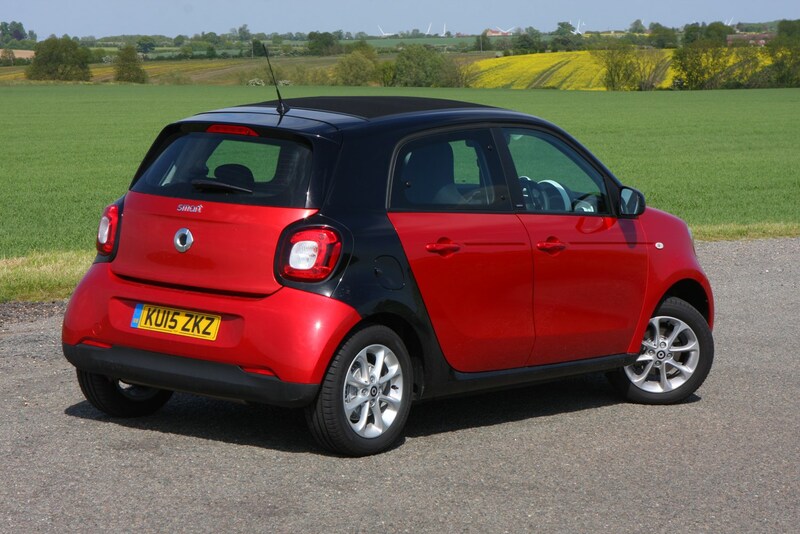 The beauty about the way the Smart drives is that its engine sits in the rear, between the back wheels and beneath the boot floor. 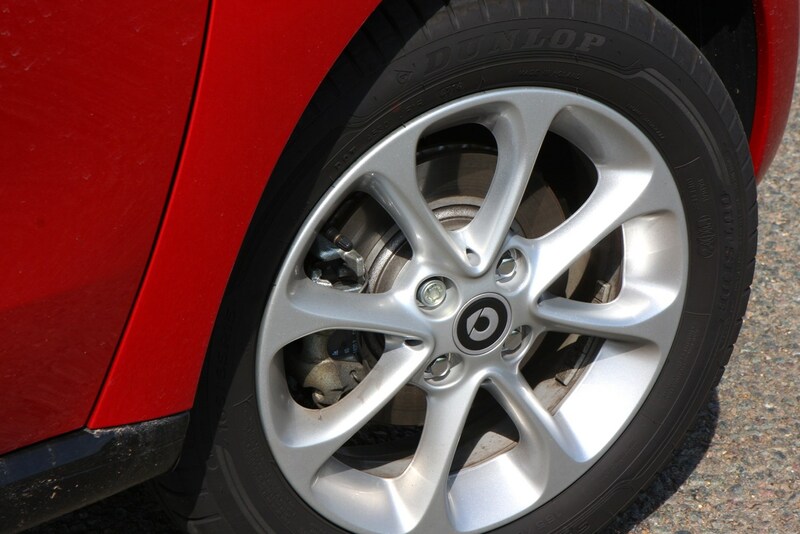 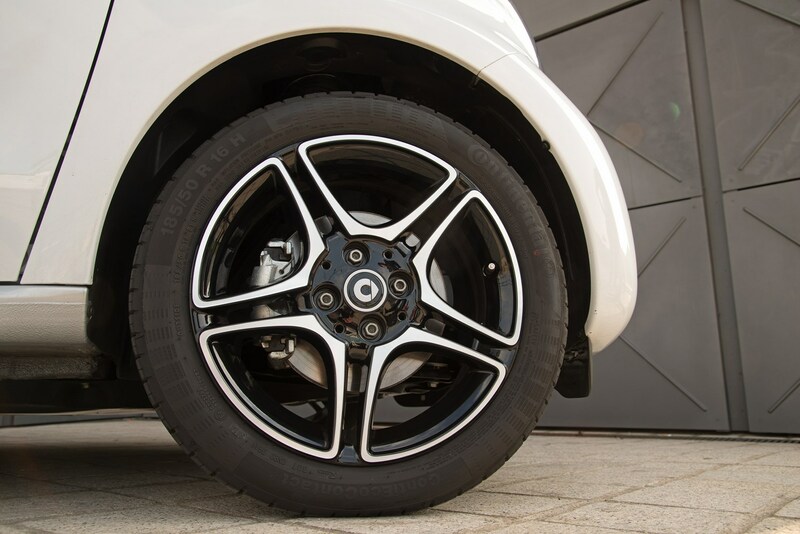 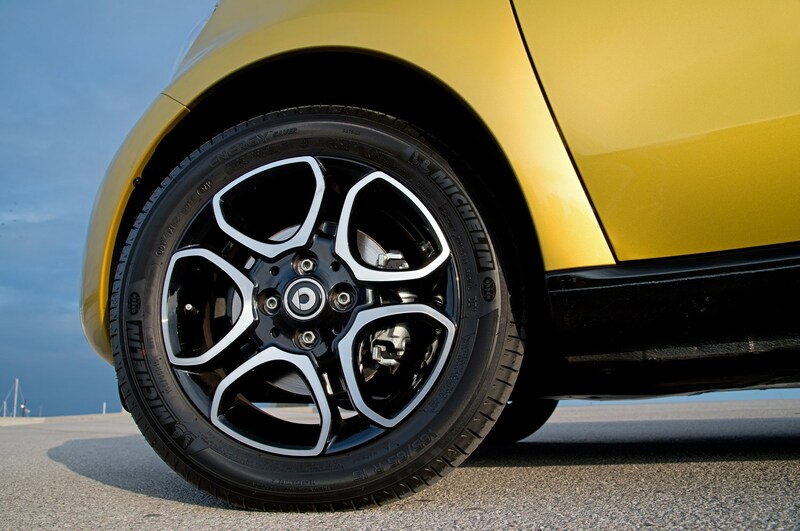 This allows the front wheels loads of room to move, and hence the Forfour’s turning circle is absolutely tiny, making it perfect for inner-city driving. 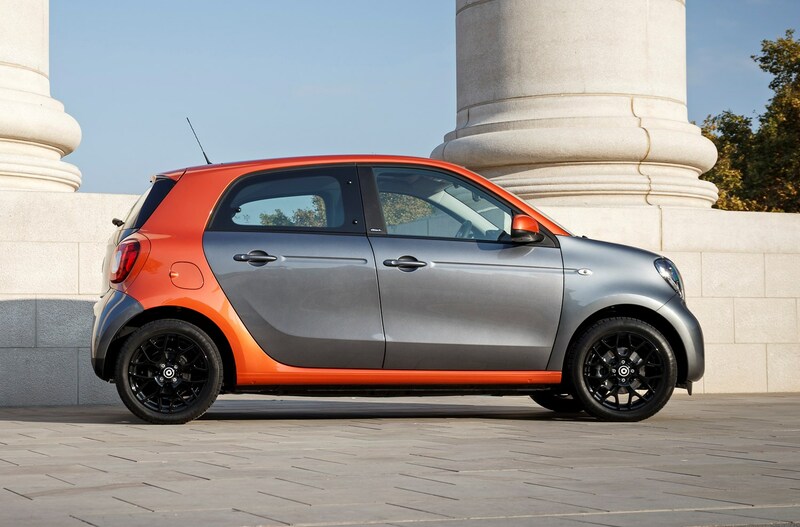 On more open expanses of road the Forfour feels stable and balanced but doesn’t deliver huge amounts of fun for enthusiastic drivers. 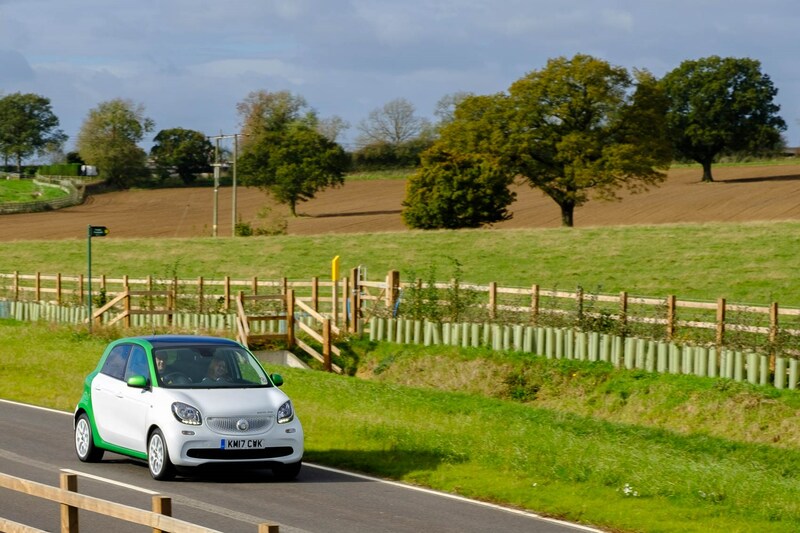 Rural and city drivers may find much to love in the Electric Drive, as it effortlessly deals with the short journeys that are the least appealing for internal combustion engines. 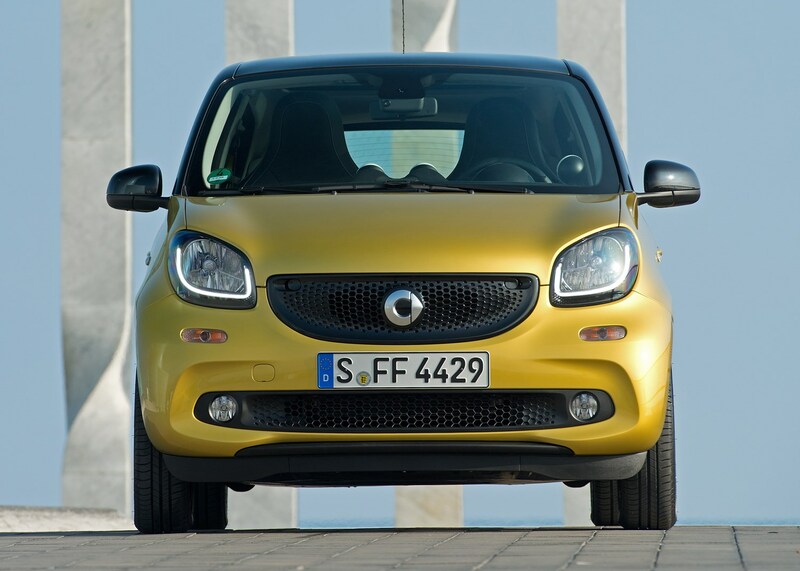 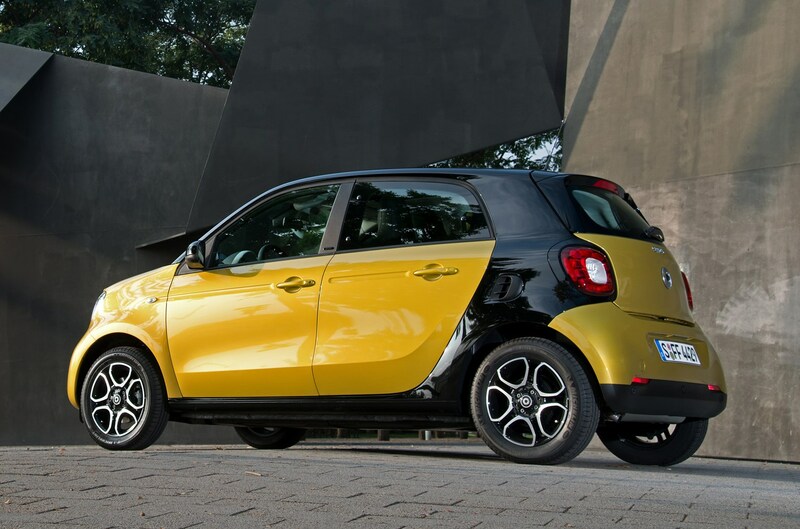 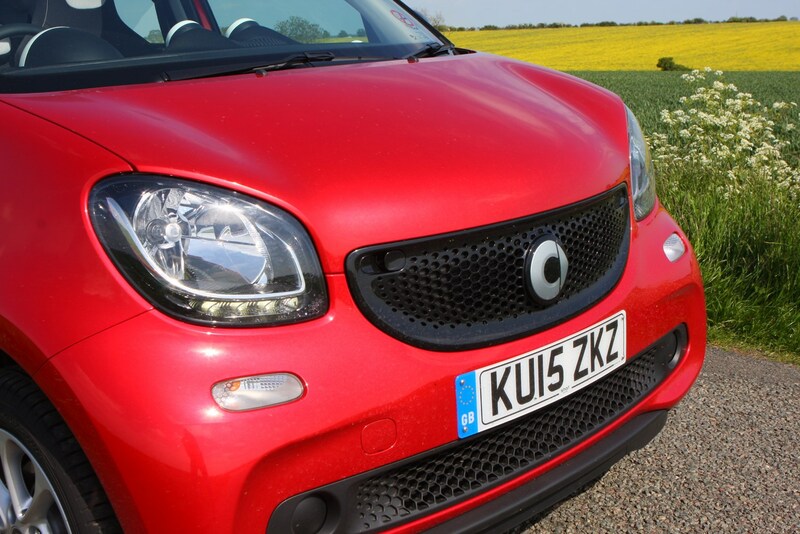 Should you buy a Smart ForFour? 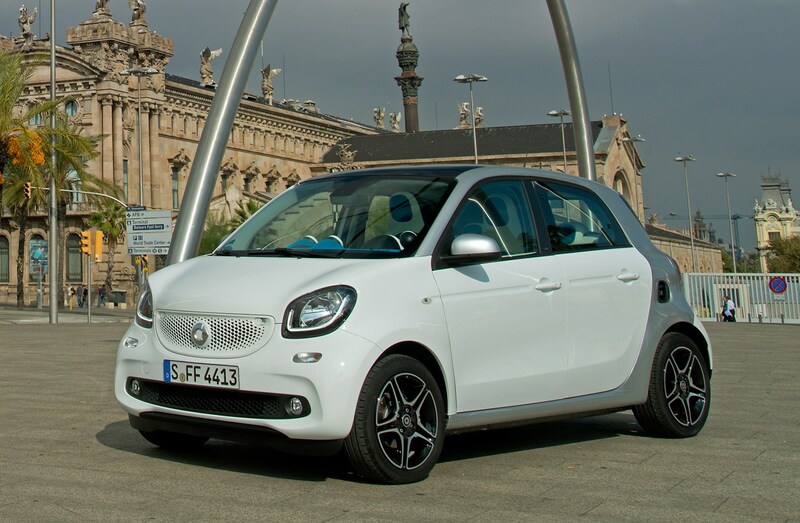 There’s no single Smart Forfour that defines the range; the Electric Drive models have an entirely different character and set of abilities. 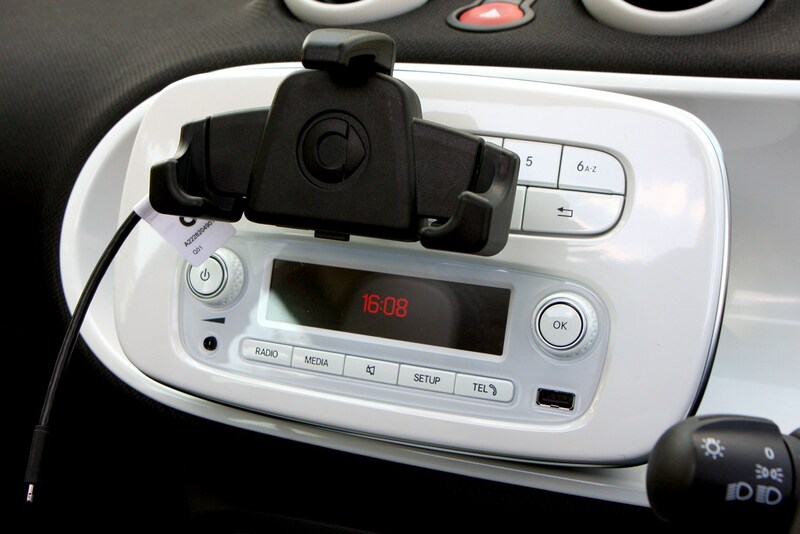 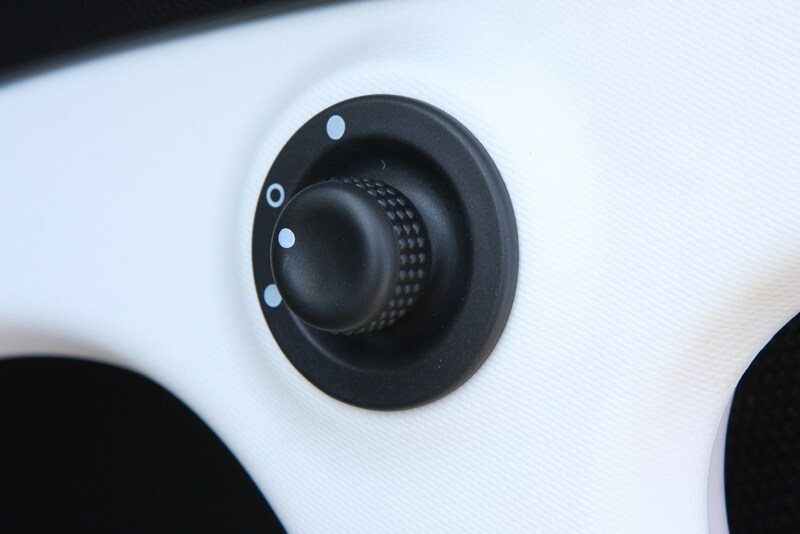 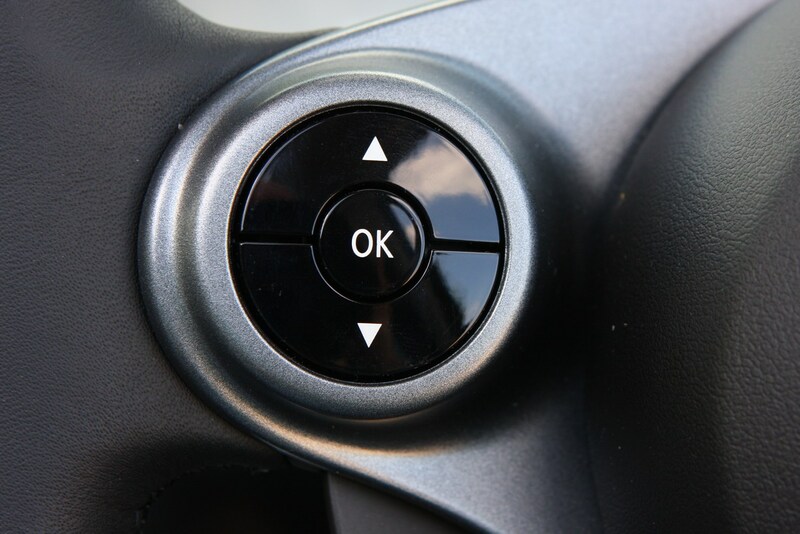 Each one excels in a different use case, and all are united by one practical benefit – the diminutive size. 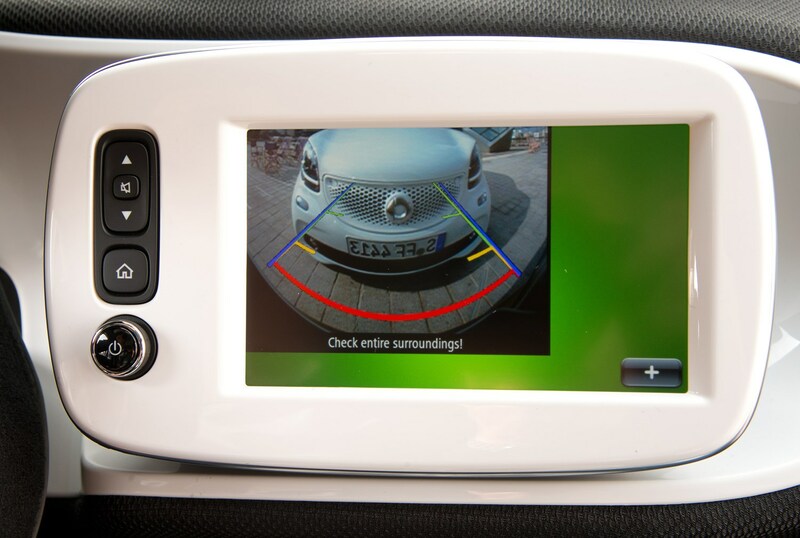 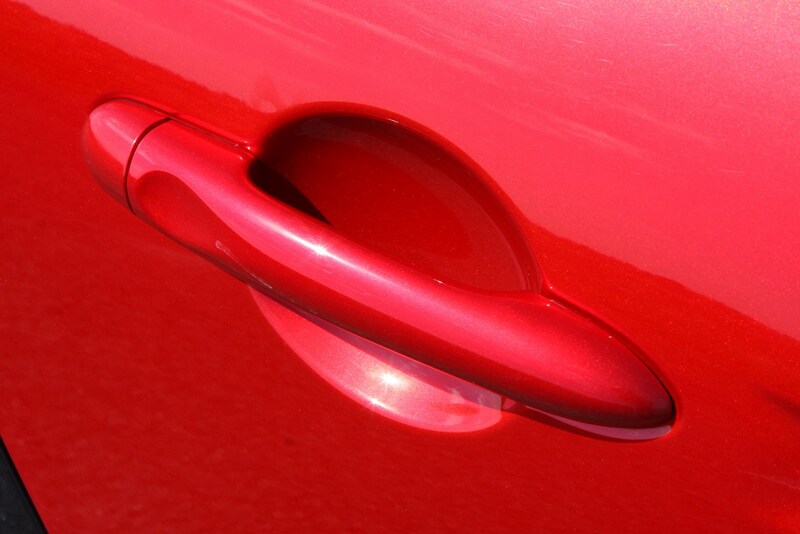 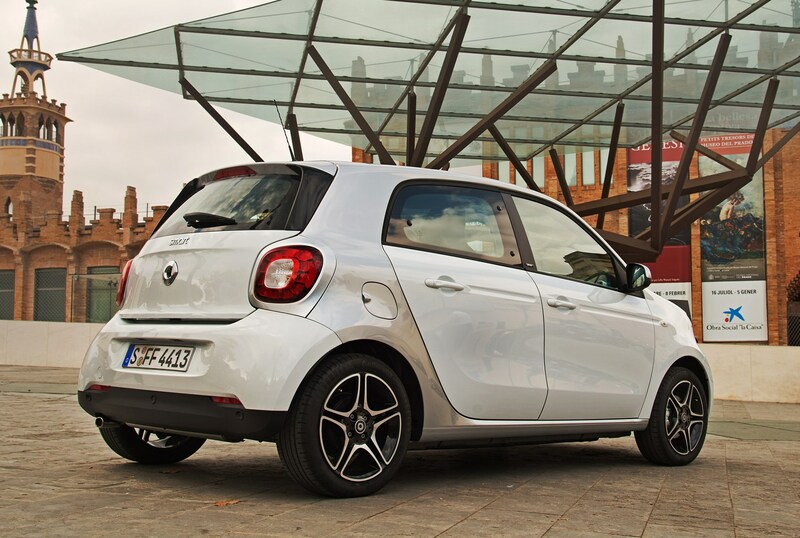 In the real world, this is an advantage in extremis – parking spaces are designed to accommodate larger cars, as are roads, and unlike a Fortwo you can’t park nose-in or grab the half-space left by inattentive parkers or lazy town planners. 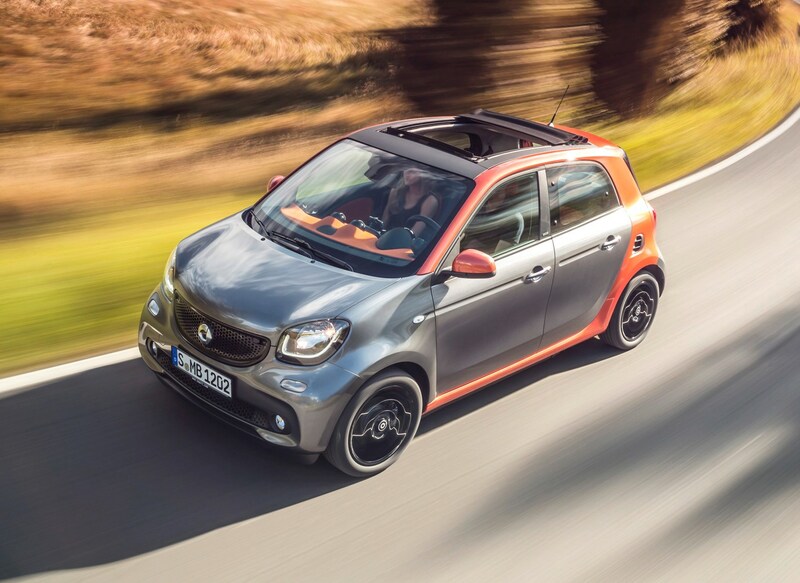 As a smaller alternative to a supermini the Brabus is the one that makes the most sense – it’s entertaining, well equipped and justifies the price premium. 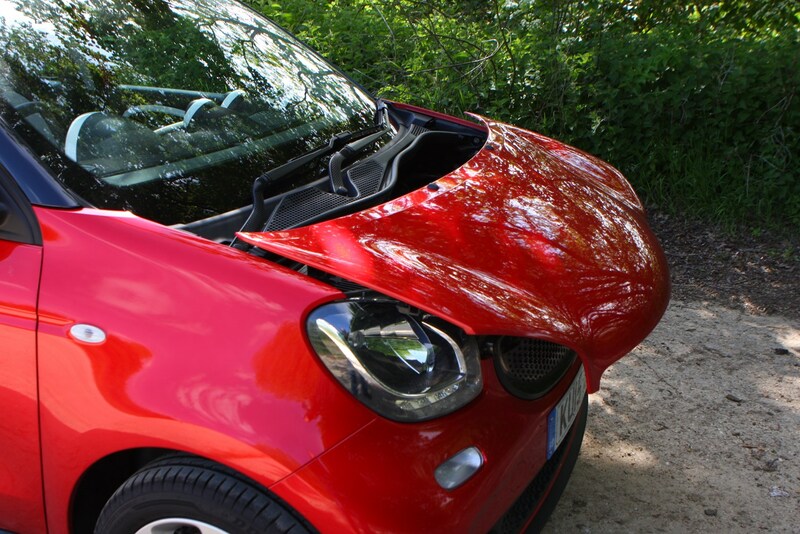 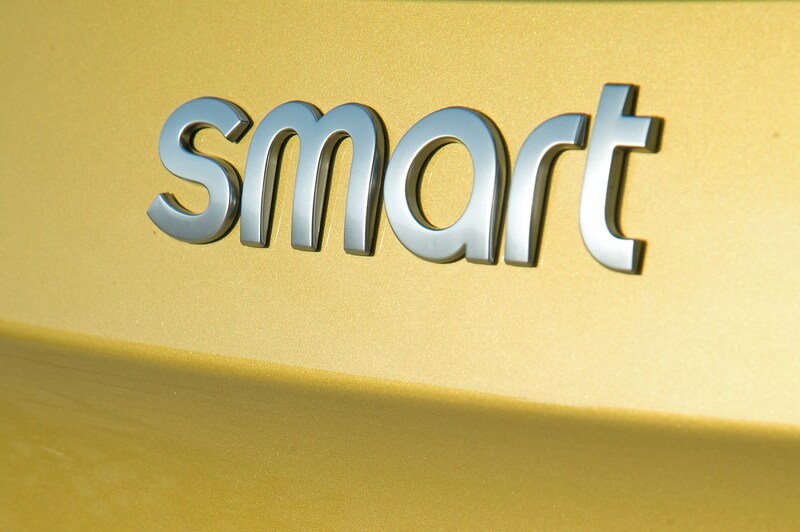 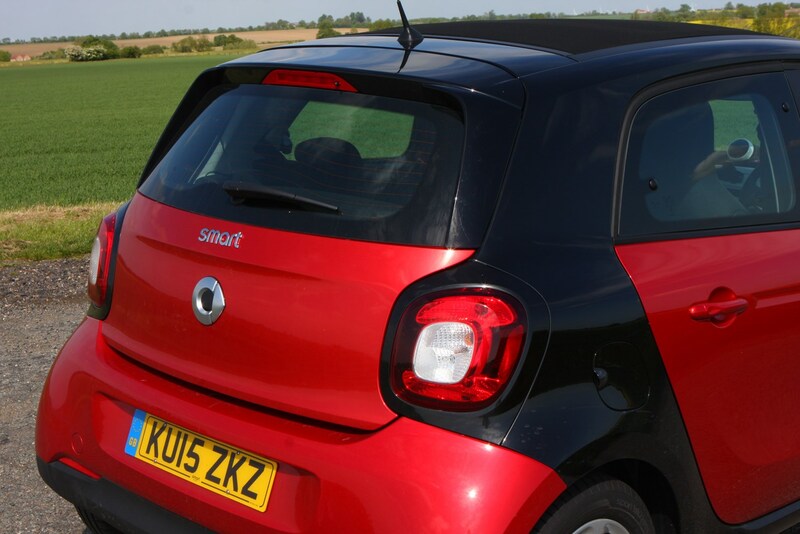 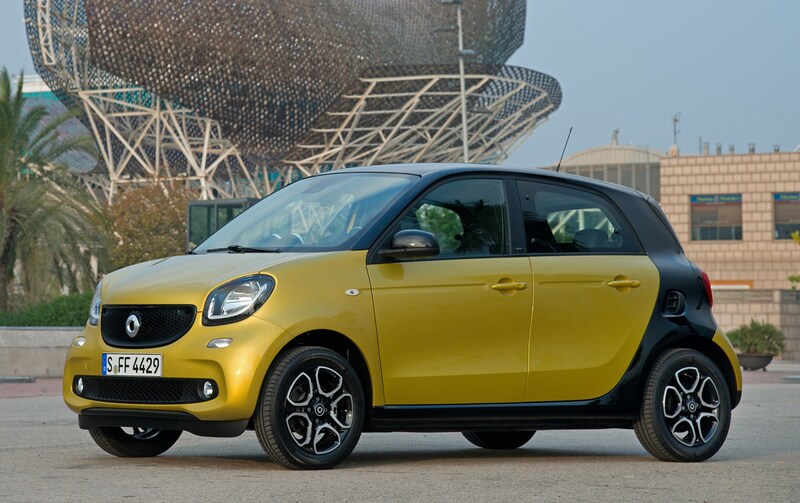 Going electric in a Smart is a different matter – it’s one of the cheaper options on the market with four seats, and in the right scenario is largely stress free. 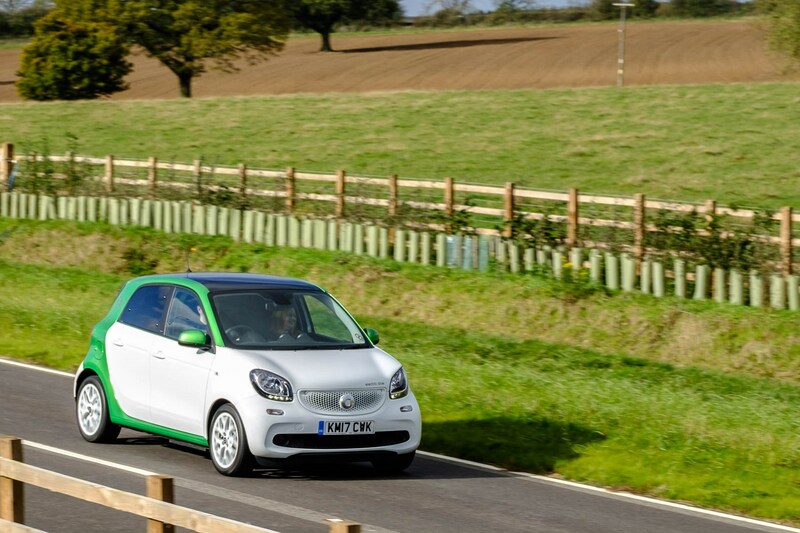 It could be the perfect solution for city dwellers with access to renewable energy – and affordable hire cars for longer trips. 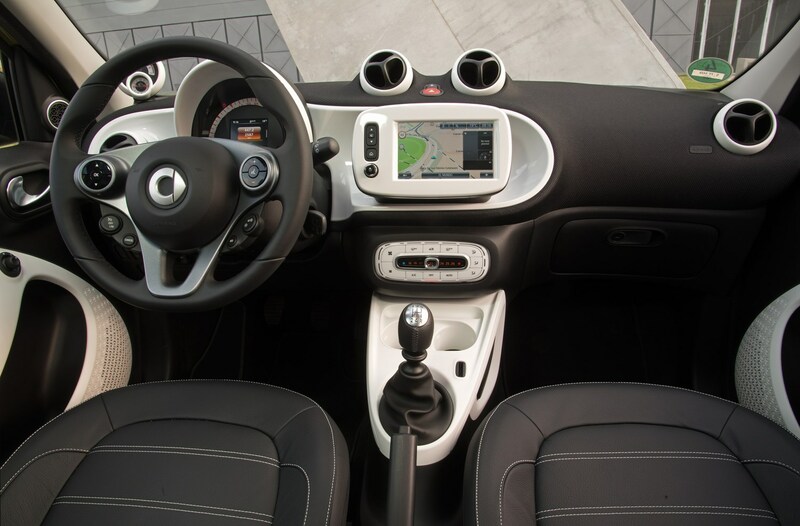 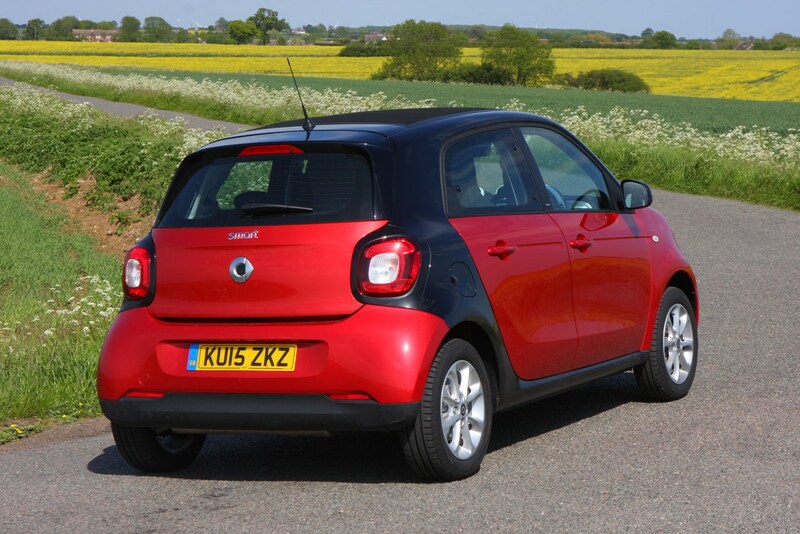 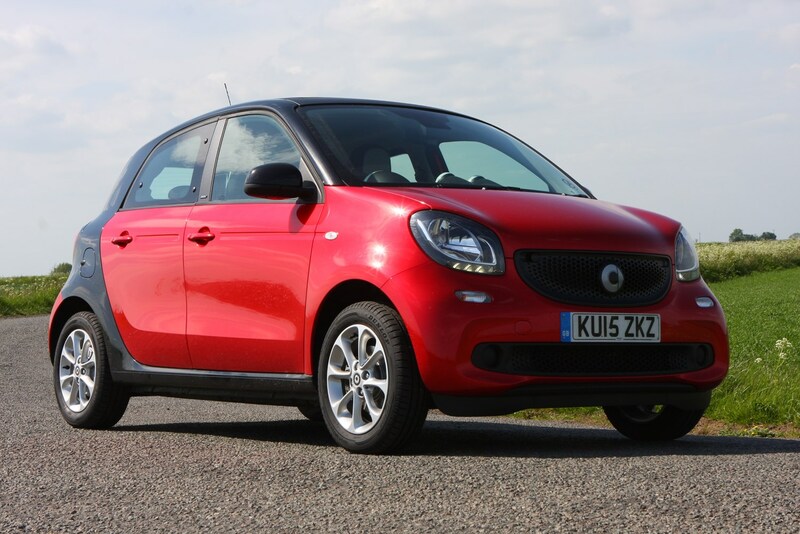 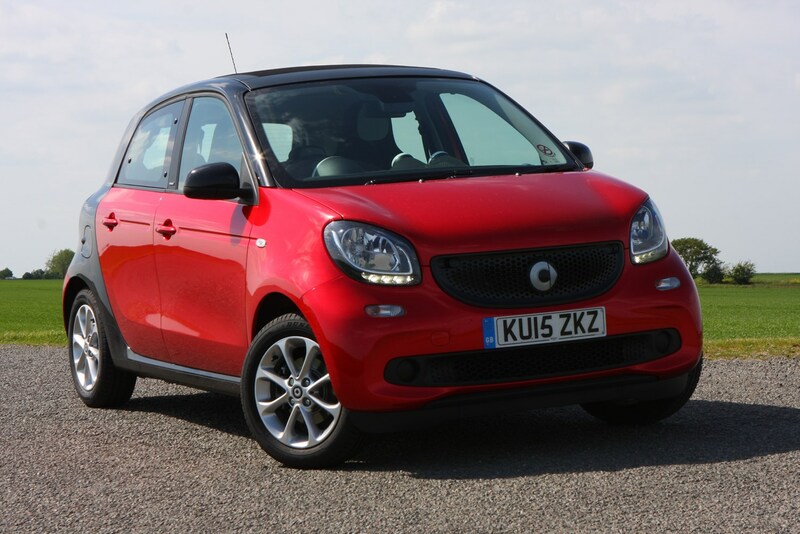 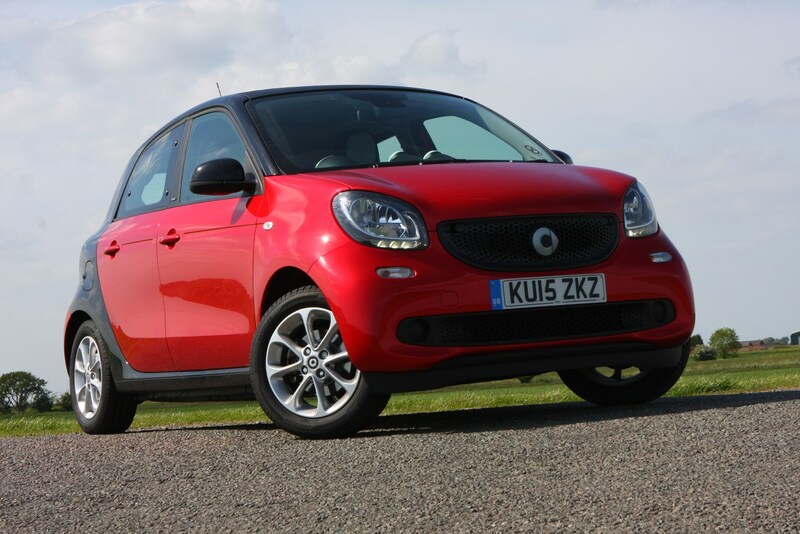 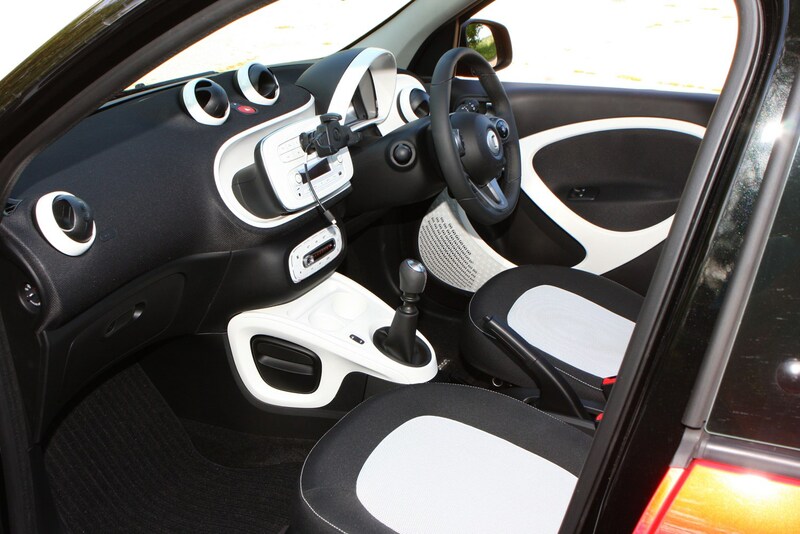 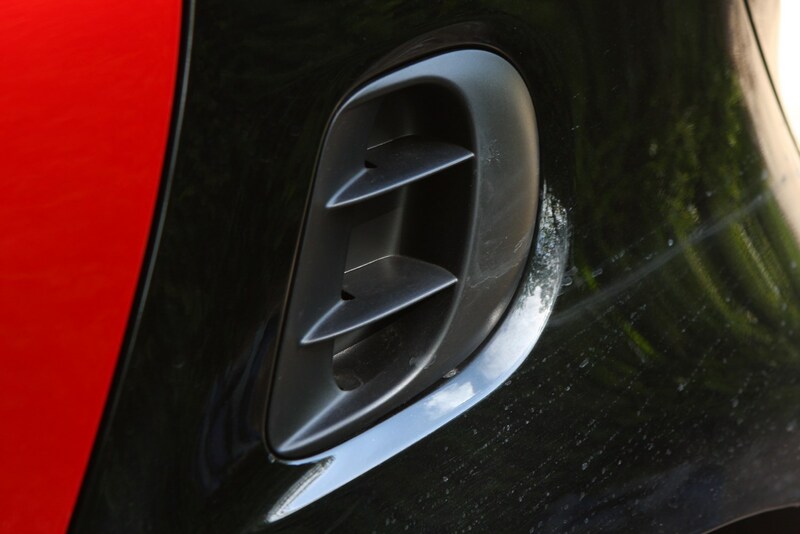 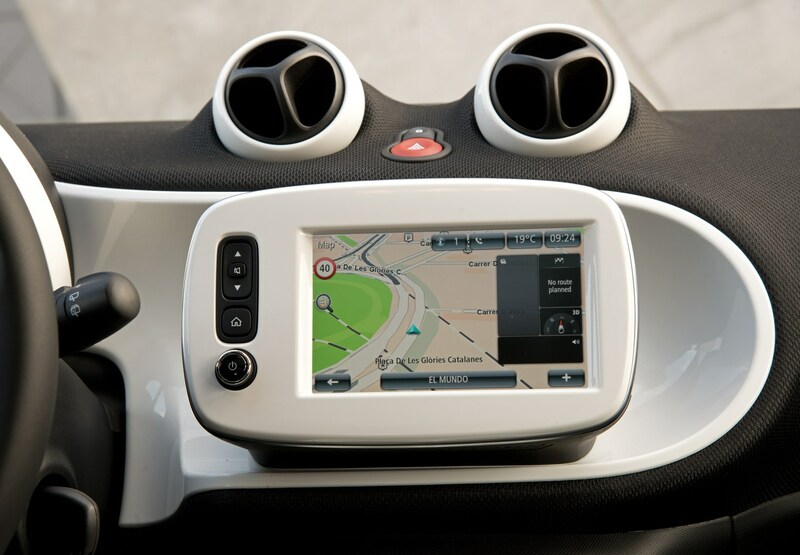 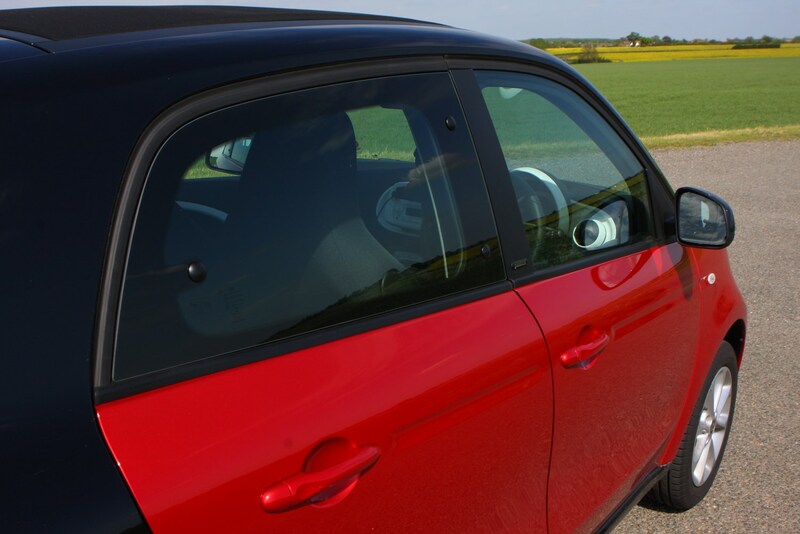 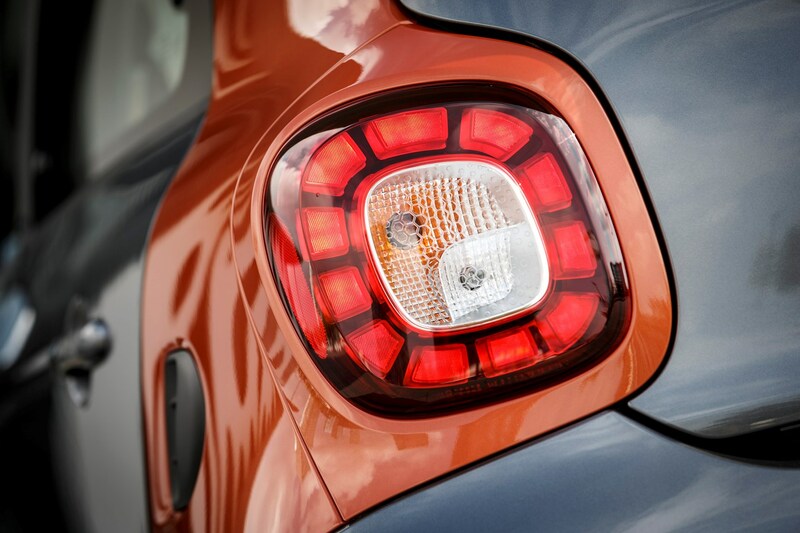 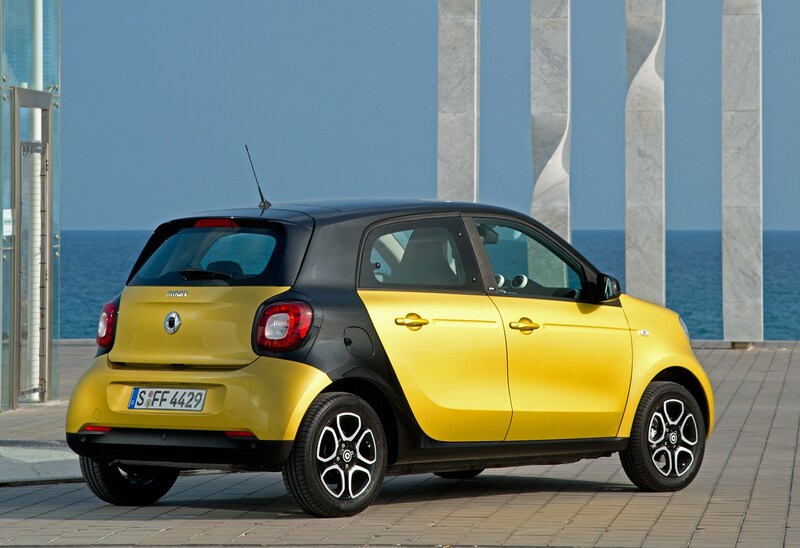 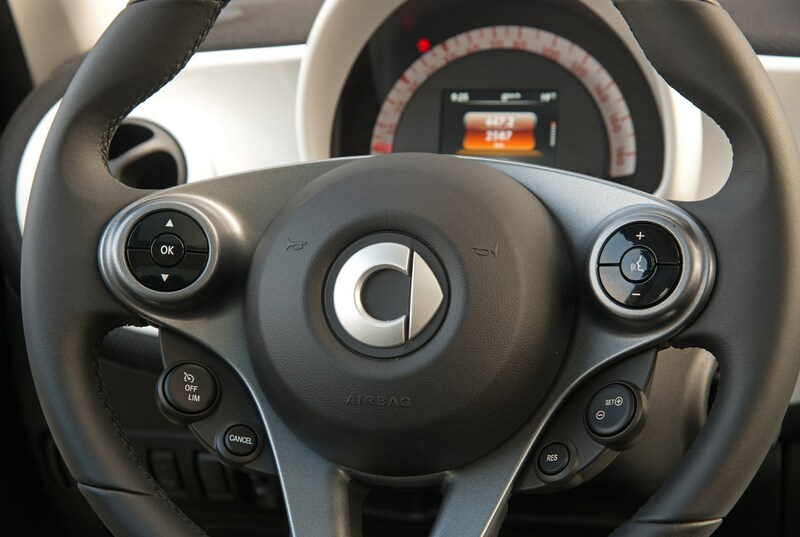 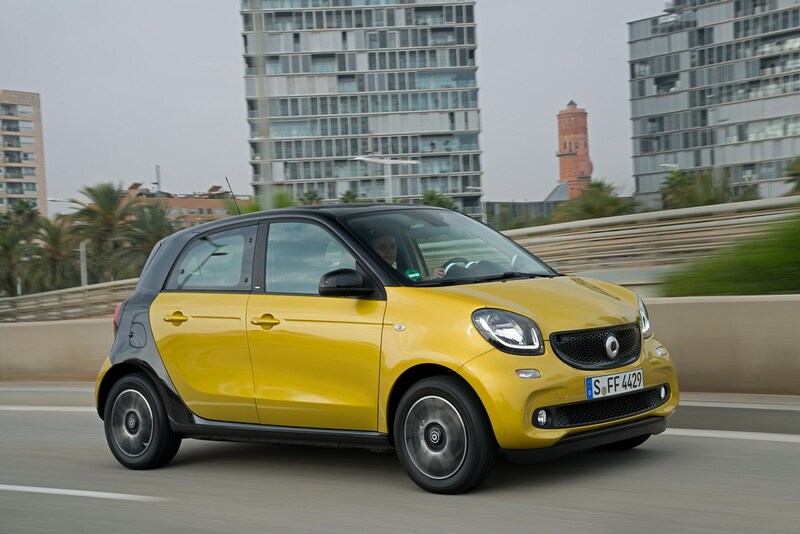 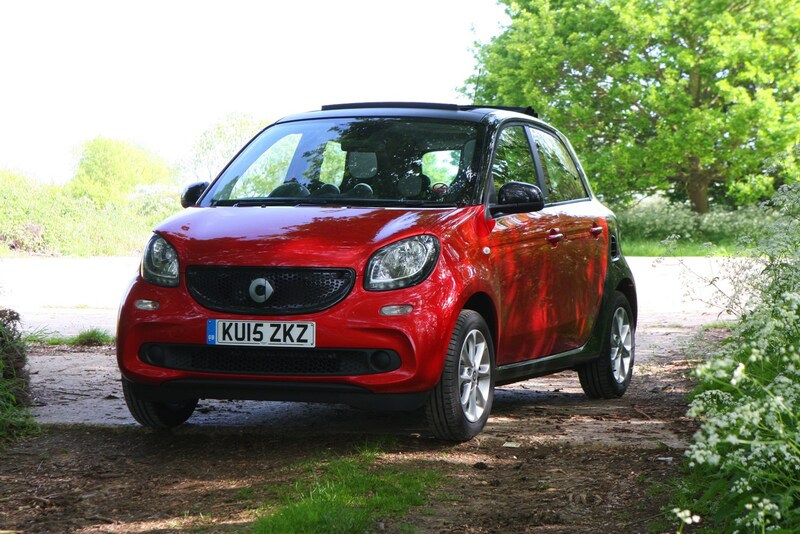 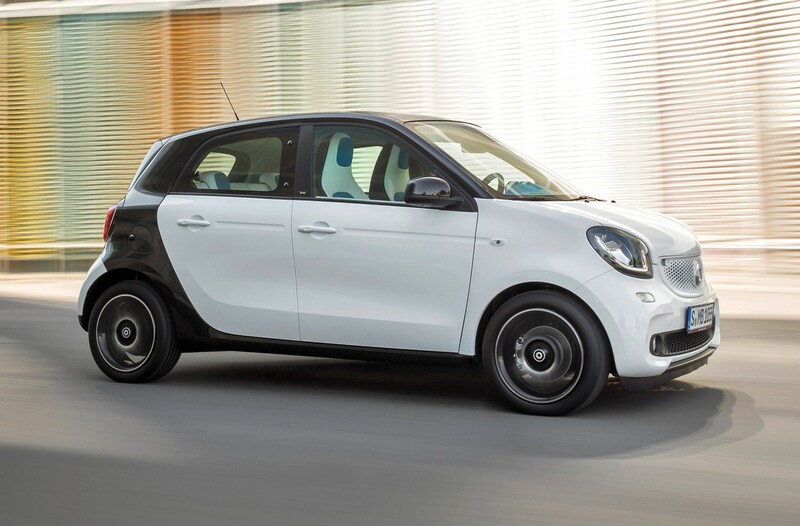 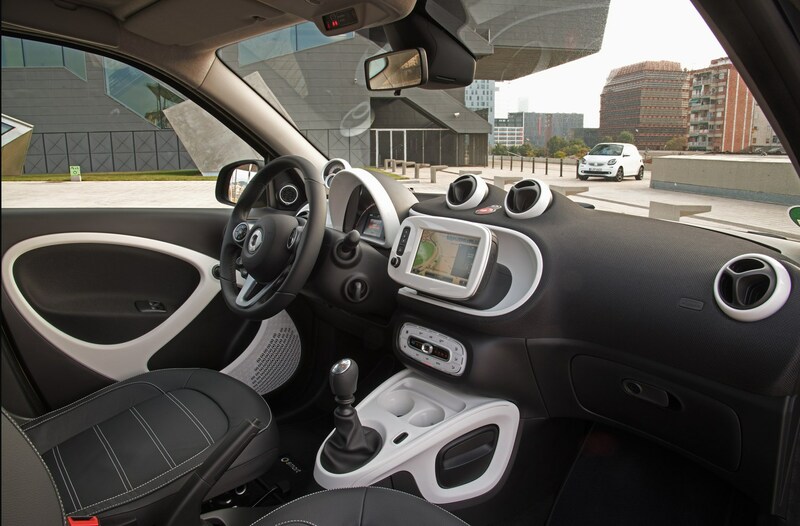 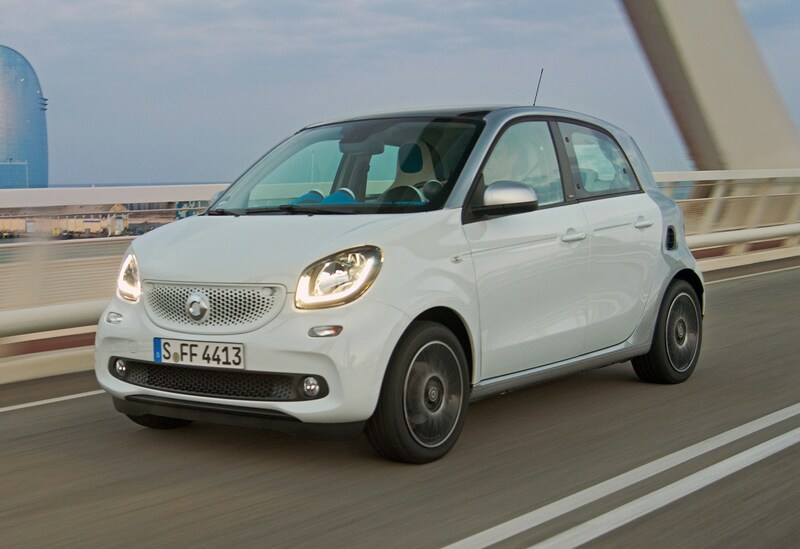 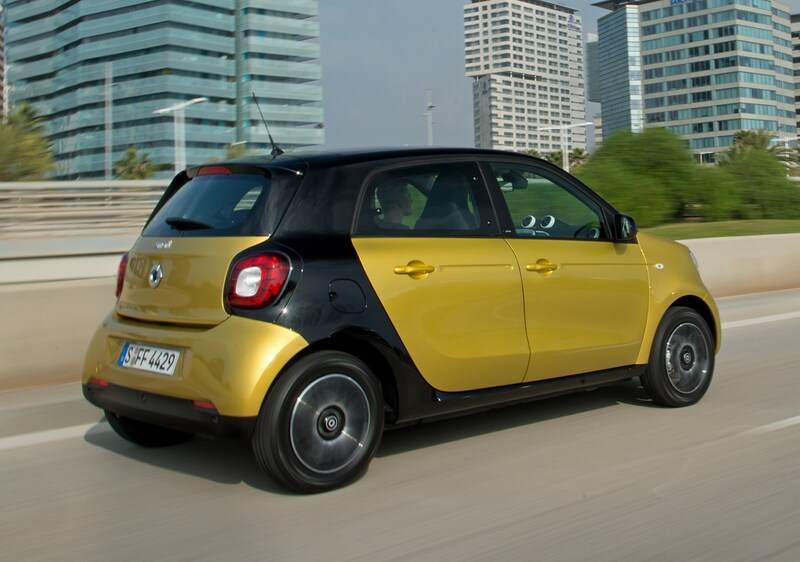 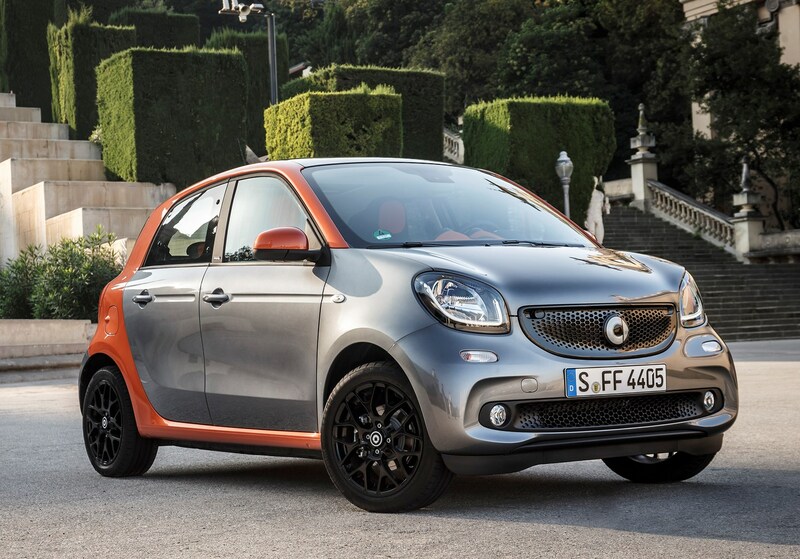 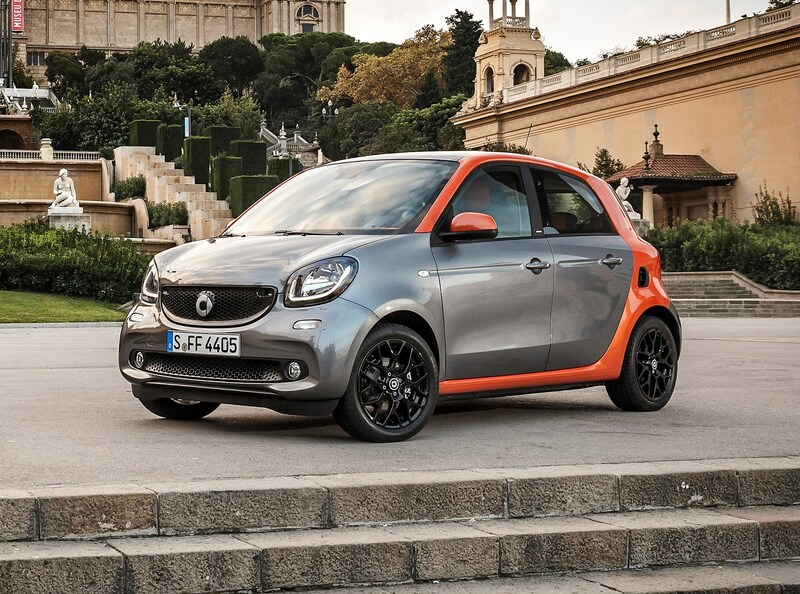 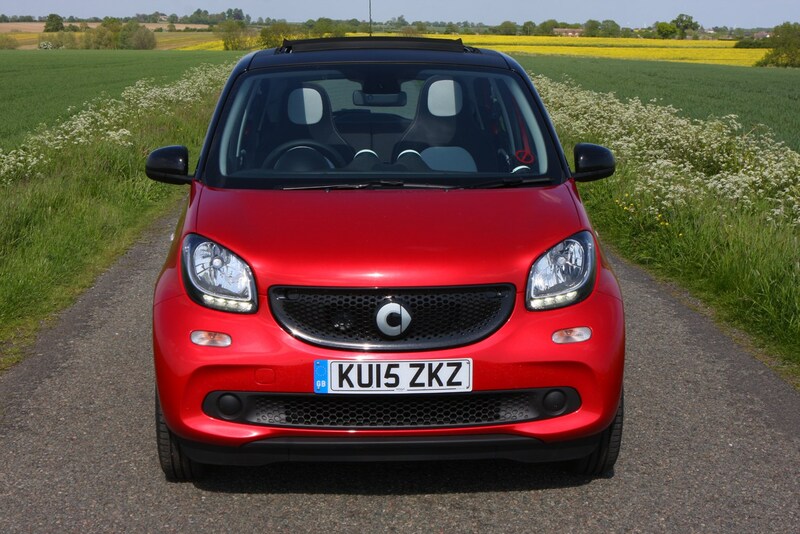 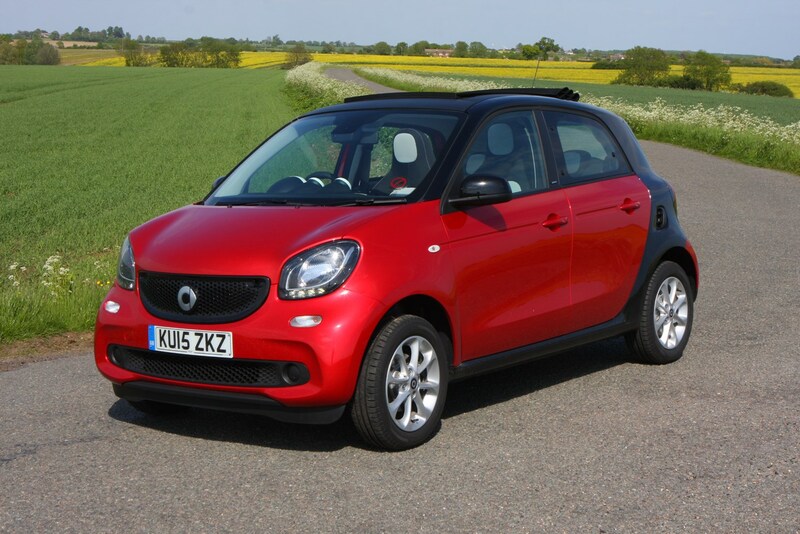 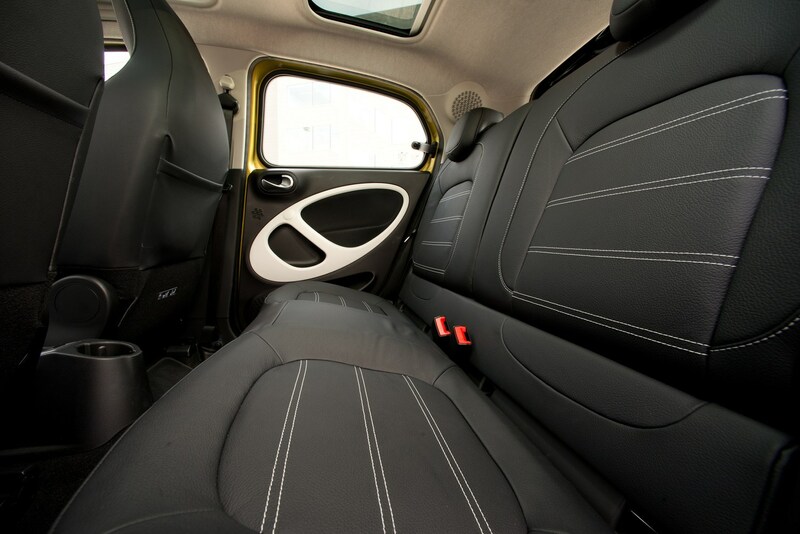 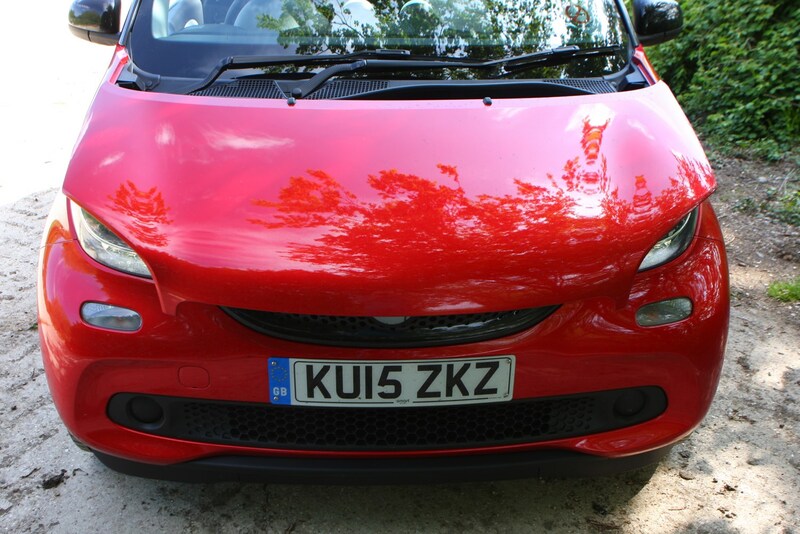 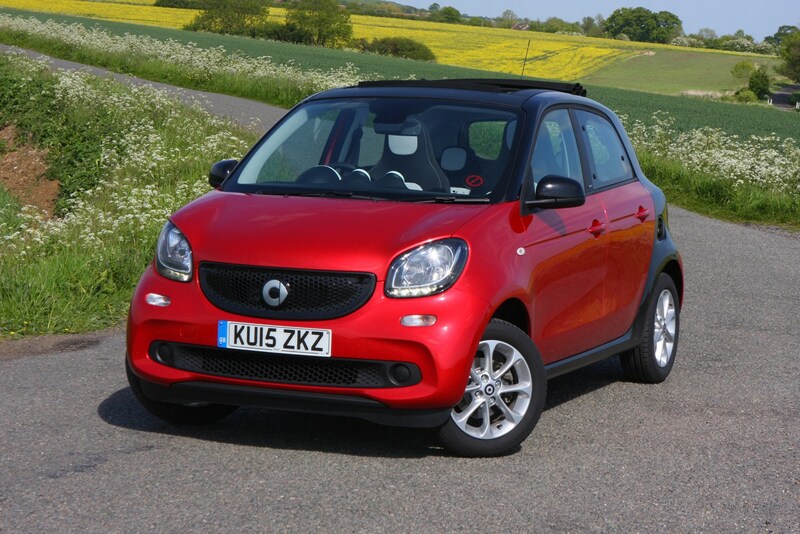 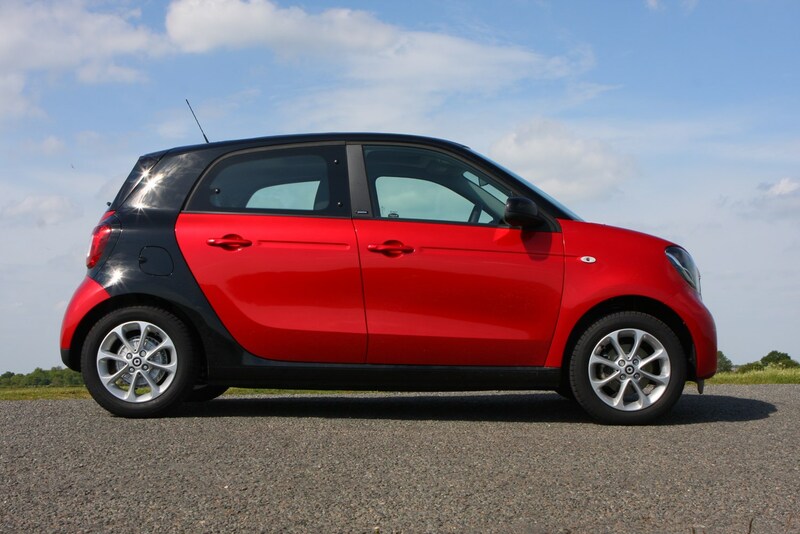 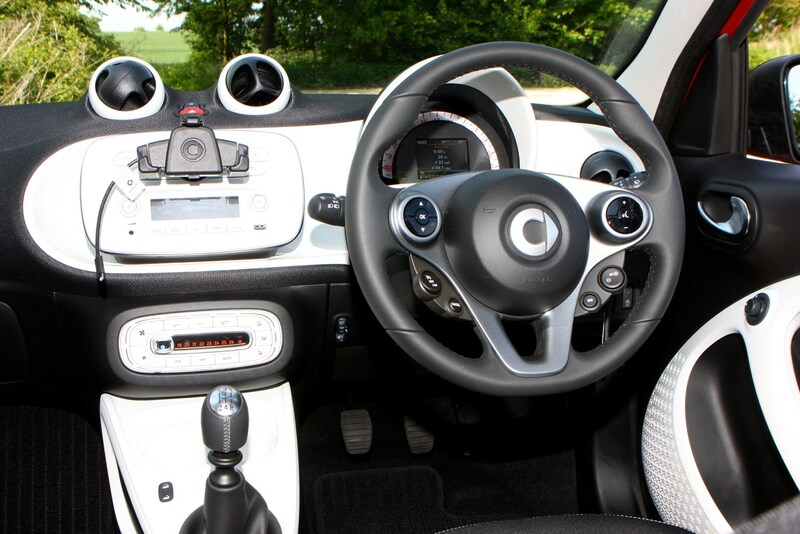 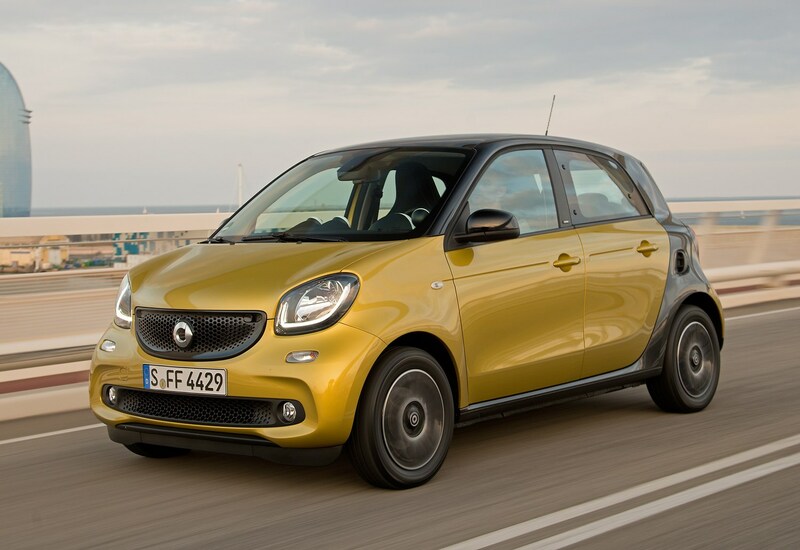 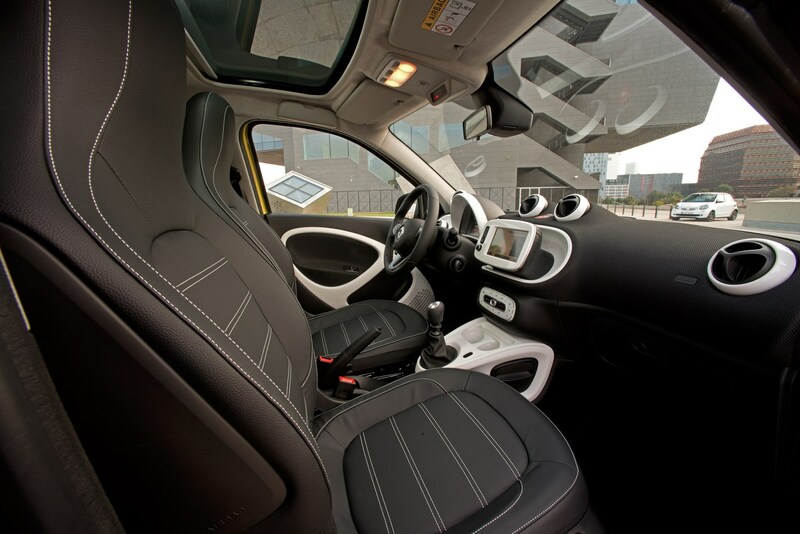 Find out more about this premium take on the city car with Parkers’ full Smart Forfour review.